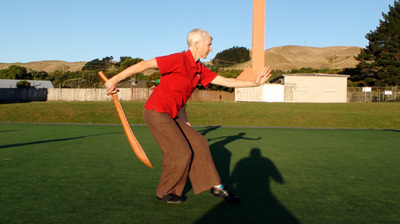 The evening had finally arrived for us to start the new form "13 Grab Stick". 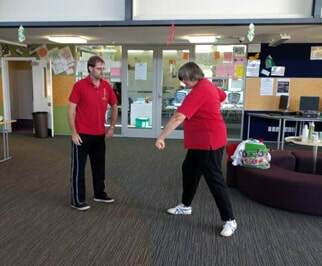 I had been encouraging my students throughout the year to consider learning this fun form, even if the skill of Chun Yuen Quan was new to them. 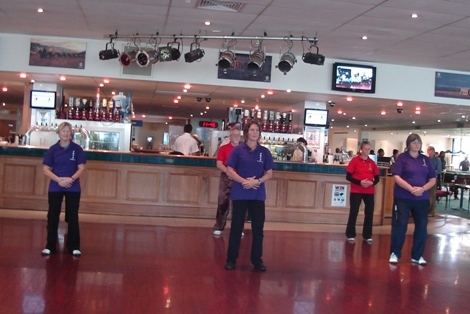 We started with a brief lecture then it was into the TQC level I warm up before learning the first three damo staff warm ups. Sigong then split the groups and with a a group leader, we starting learning 13 Grab Stick. It was so much fun. 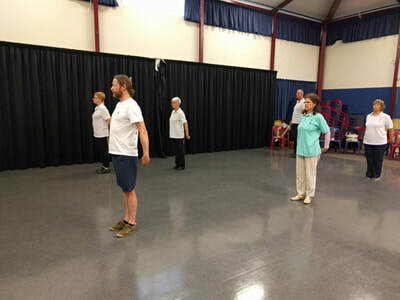 Here are a few comments from the evening, you can see more on the Tse Qigong Centre website here. "Such a memorable evening with such good teaching. Concentration required but relaxing too." "Wonderful energy :) happy, joyful, fun." 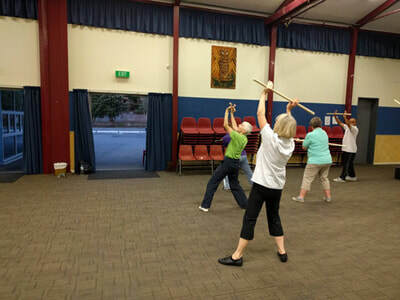 Thursday and Friday evening were for Plum Blossom Gong. We started this form last year so the seminar was of course a lecture first, then polishing and then onto new movements. It was very nice to work outside for a good part of the evening. 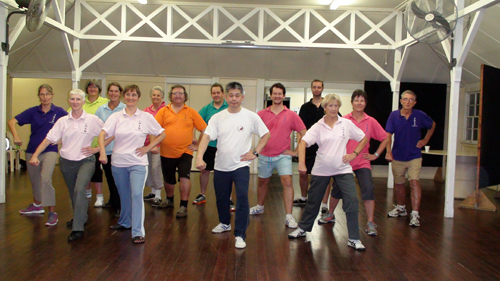 "Thank you, Tai Sigong for the wonderful polishing and the new moves. This is a beautiful form and I appreciate the chance to learn and practise it". Liz. "Very enjoyable polishing this beautiful form and adding some new movements. Derek." 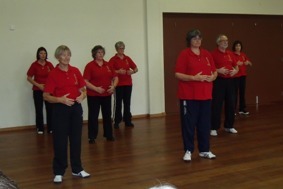 The weekend seminar was Hard Qigong. I have previously learned this form so it has been great to revisit and polish the breathing and movements. It seems that second time around I feel as though I am beginning to get an understanding of how amazing this form is. 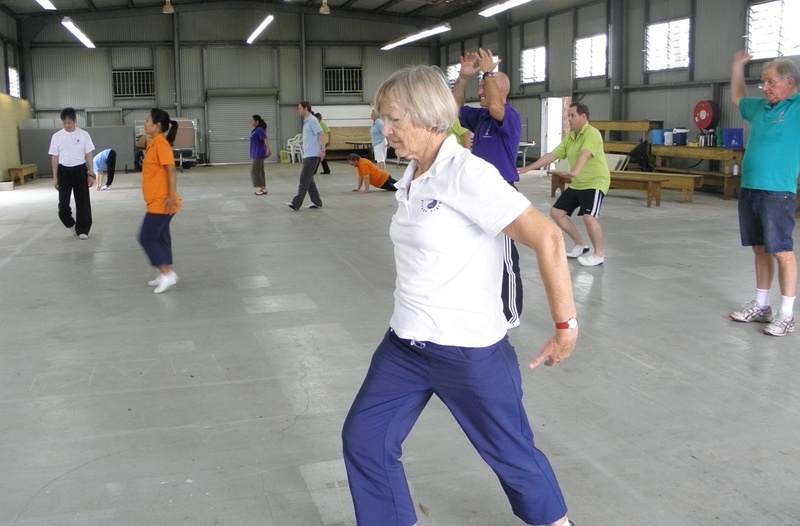 Sigong had us doing many repetitions of each movement learned which gave us a sense of what we might have to do if we were in full training for testing. It is such a privilege to be able to learn this skill. We soon had to go inside due to the beautiful hot sunny day. 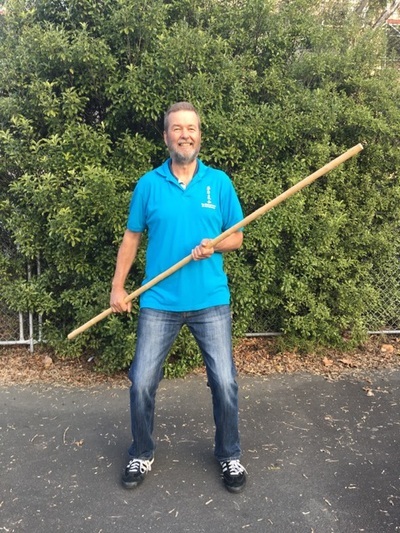 ​Ian has been working at Level III, Hard Qigong so it's a wonderful opportunity for serious polishing when working with him. 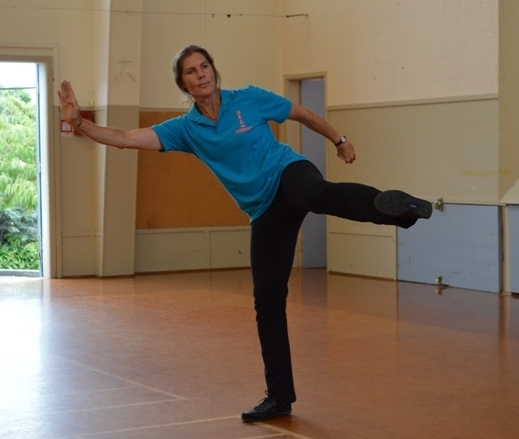 "Every time we practise and review I learn more and the movements and energy become clearer. It is very useful to work with different people as each person observes different things and helps the process in the own way. Great lecture on the breathing on day two!" Very Externest. Sigong's programme is full on over the week but we still have to eat!!! 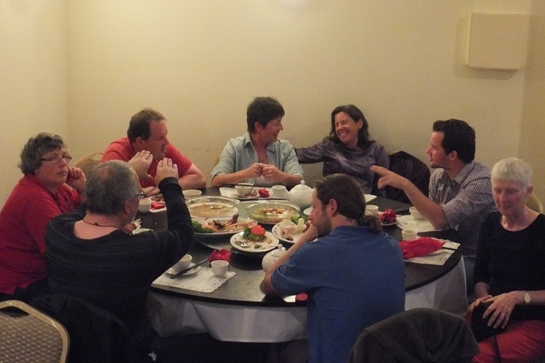 Lots of yummy food is consumed and the Saturday evening group meal is always fun. 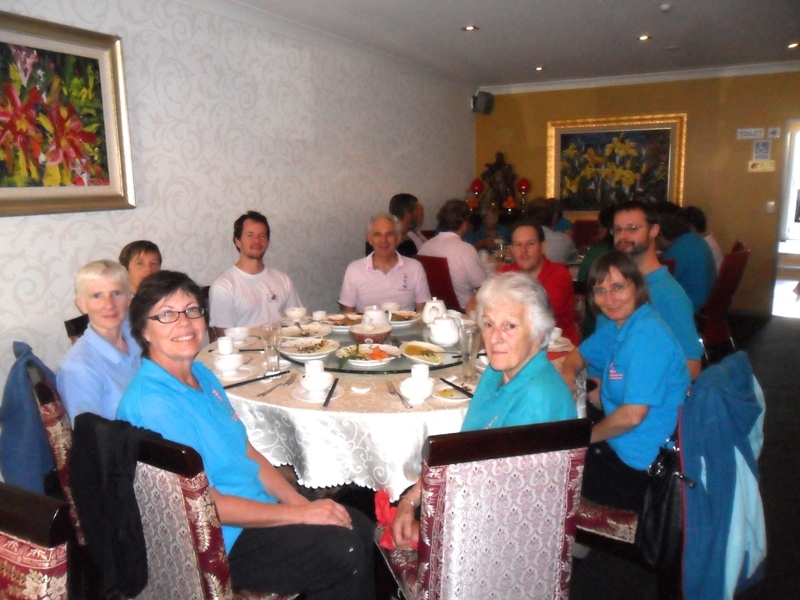 We had an excellent meal - dishes selected by Master Tse. 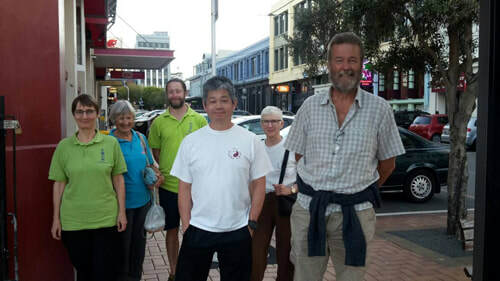 Feeling replete after a scrummy meal at The Regal and a gentle stroll to our cars on a beautiful, balmy Wellington evening. 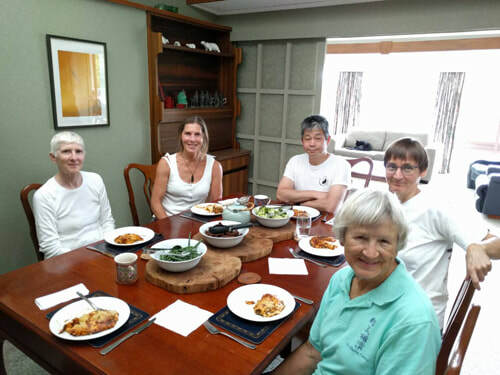 Lunch at home, I think this was Kimbra's delicious lasagne with Ian taking the photo. Our final evening was dedicated to Polishing. This is always a good opportunity to go over what we have learned during the previous seminars. 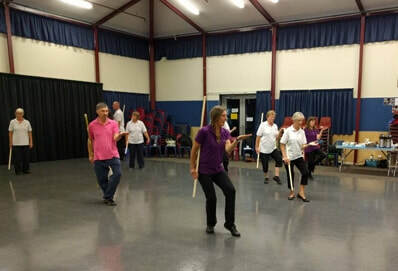 We did spend quite some time on 13 Grab Stick as most people at the Polishing at attended that seminar - it certainly is going to become a favourite. 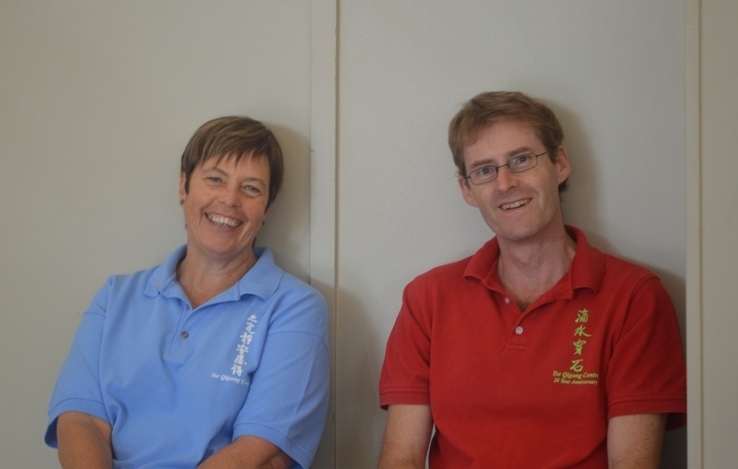 In 2013, both Lee (from Canada) and Ian (from England) were in New Zealand attending Sigong's seminars. 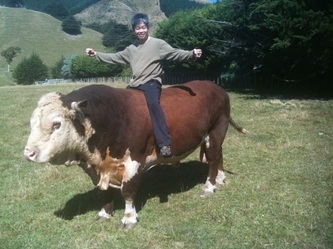 I encouraged them all to experience sitting on one of our very quiet bulls : ) I was very confident Koanui (the bull) would behave!! 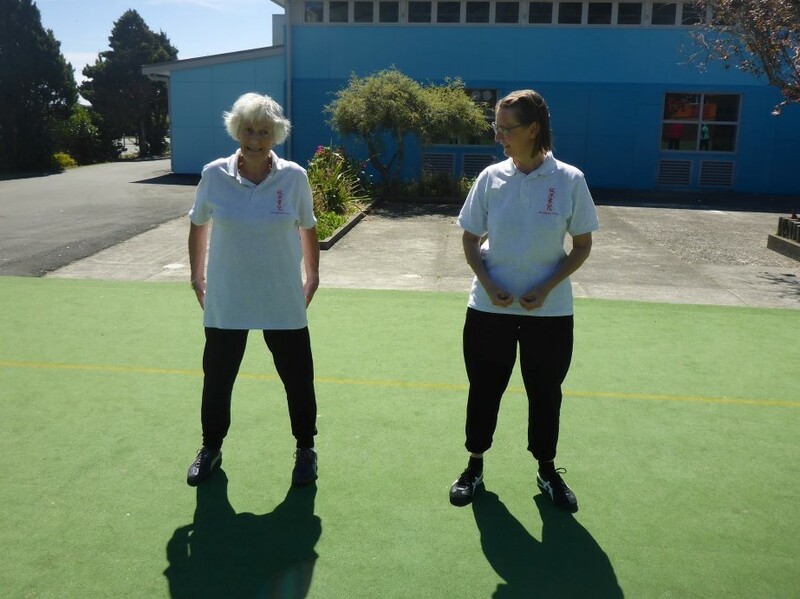 Back to 2018, after the polishing seminar, Sigong travelled to Wellington with Cynthia and Susanne and the next day flew back to the Northern Hemisphere. Our cup certainly feels pretty full at the moment with so much inspiring tuition but over the year we will sip away at it and let is settle, all in readiness for Master Tse's visit next year. Alison kindly met us at the airport, took us to her home for a quick dinner before heading off to Mt Gravitt for the 5 Element Self Healing Gong. This seminar was completed over three evenings and it will certainly be remembered for the rather challenging second to last move. Once Sigong had explained the star shape and Tom's sticky tape had drawn the shape, we all managed to get our heads around where we had to walk. This is a lovely form and one I feel I'll use often. 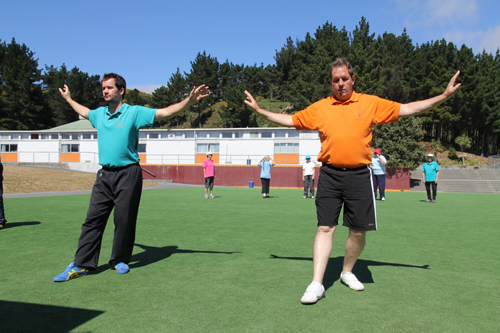 ​The last form for the programme was the Dayan Qigong Healing Hand Gestures. 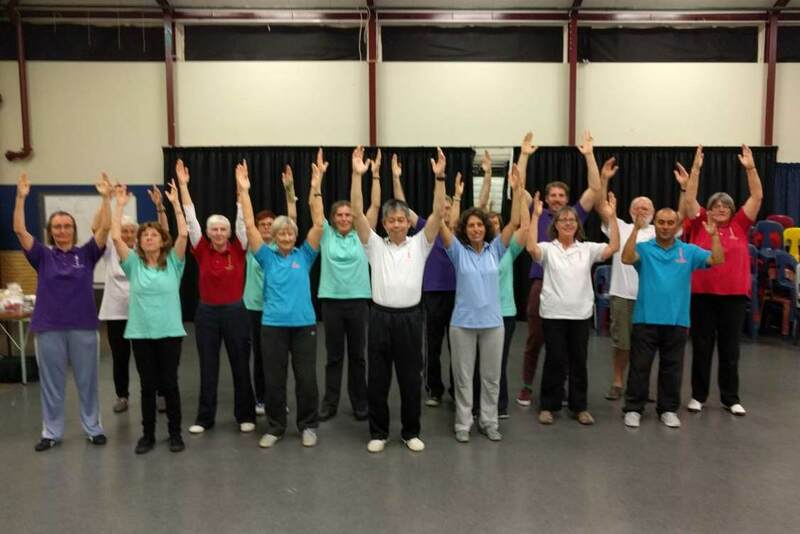 We use many different hand gestures and positions with our forms and this seminar helped us gain more knowledge about the gestures and how to use them on your own body or with healing someone else. A very interesting evening. 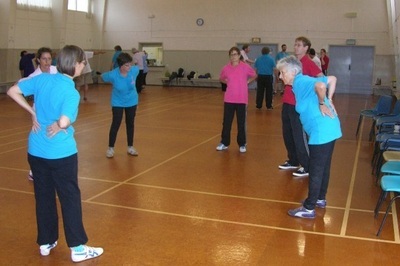 The whole programme ran very smoothly and it was, as always, lovely to see Jane, Vera and their students again. 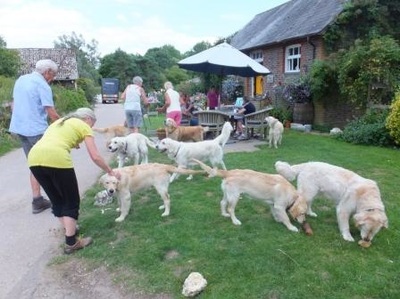 We are very fortunate to be able to stay with Alison and really appreciate her hospitality - thank you: ) It was not all work - scattered through the week were scrumptious meals and a daily visit to Alison's local cafe......a bit decadent I know but fun. ​Tuesday morning we were back at Brisbane airport, this time with Sigong, Jane, Vera and John; all of whom were travelling to Wellington for the next week of seminars. 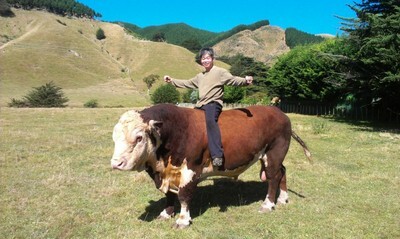 Cynthia had returned to Wellington earlier. ​After all these years I have never tried my hand at Taijiquan. 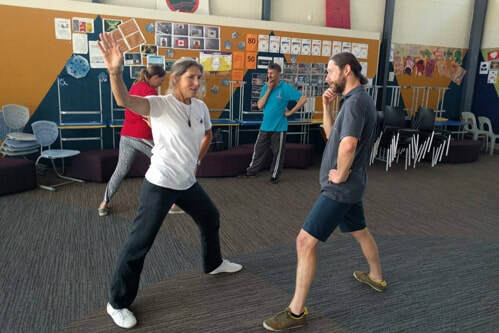 I have of course seen it being demonstrated by Tse Sigong and some of the very skilled Tse Qigong Centre students but it was a thrill to have the opportunity to learn more about this very famous martial art. Cynthia's presentation describing the roots of Chen Taiqiquan was so interesting and I look forward to reading Master Tse’s book. 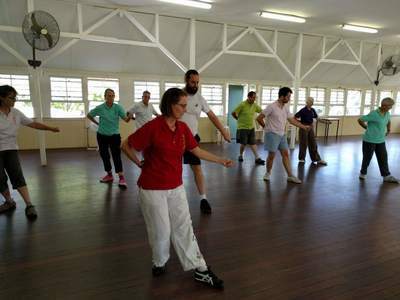 The whole day was just great with step by step learning of new moves and trying to get a sense of the movement from the waist. 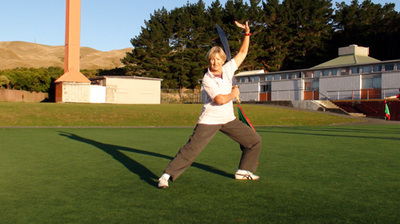 I thought Cynthia demonstrated this very well and you could see the energy of the form. It was also good to recognise the need for strong roots without forgetting the relaxation principle. This resonated with students who already practise Wild Goose Qigong and Chun Yuen Quan. "​Thank you Sijie. So clear! I really enjoyed both the lecture and all the moves that we covered. I’m feeling challenged but also full of energy. Brilliant! – Jennifer"
Beginners may start the form then and others will review and continue learning the 19 Form. 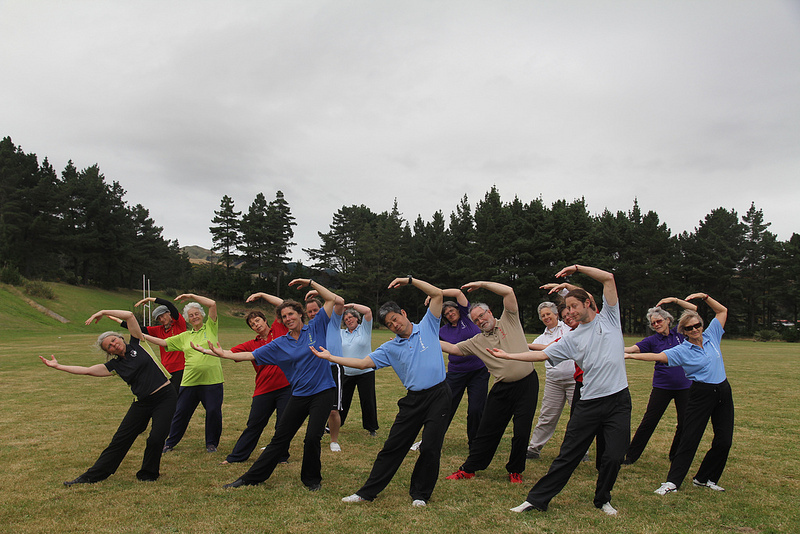 Our fourth and final Wild Goose Qigong seminar for a while, was held at the Paekakariki Memorial Hall. 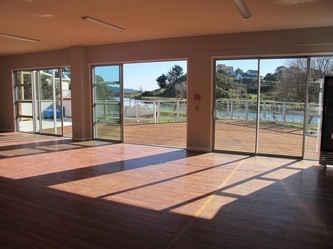 The hall worked very well for our purposes and with the sound of waves crashing on the foreshore and the fresh sea air, we felt very close to nature. 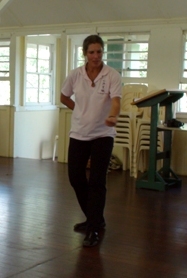 Cynthia opened the seminar with a presentation/discussion about what Qigong is, why we practise Dayan Qigong and how it relates to health. This encouraged everyone to really think about the practice of the Dayan system and to try develop more awareness about integrating what we know into our daily lives - be it for general well being or when we may be unwell. ​Cynthia, Jennifer and Susanne have recently returned from England where they attended the Instructors Course and the Wild Goose Qigong residential, so observations and polishings felt very current. 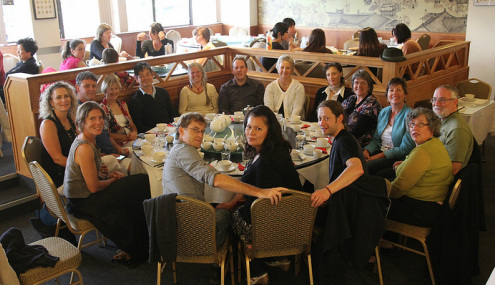 In between sessions of work, we enjoyed tea and yummy treats. 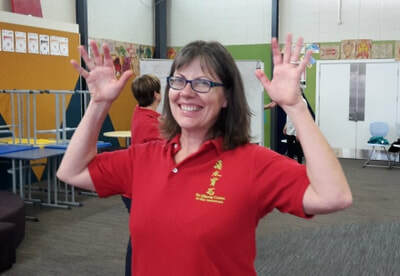 It is so very nice to have the New Zealand Tse Qigong Centre family coming together for these seminars and it is especially appreciated that Jennifer and her students travel from the Hawke's Bay for these events. On this occasion, five travelled together in one car and I couldn't help thinking what fun that must have been!! 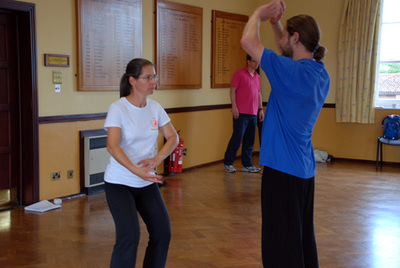 The next planned seminar is with Cynthia and she will be introducing and teaching Chen Taijiquan 19 Short Form. 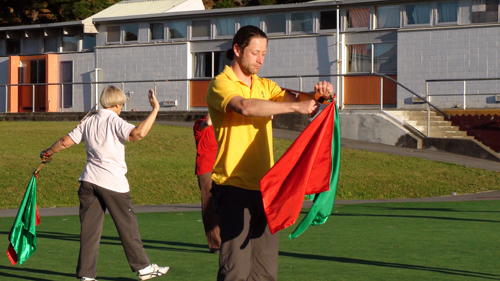 Two seminars are scheduled for 28 October and 2 December, both at Porirua College. More details can be found through this link. 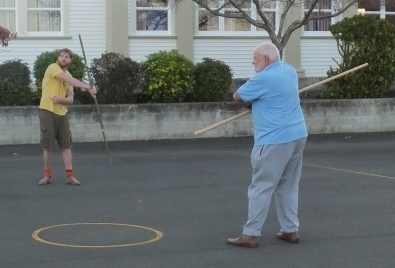 Accompanied by my husband Anthony, I travelled to the Hawke's Bay to continue the teaching of Damo Staff. Students are becoming more and more comfortable with handling the staff and each year there is improvement in understanding the movements. 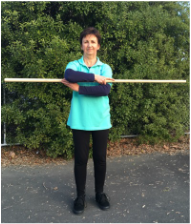 The practising of Damo Staff has many health benefits, especially relating to posture and co-ordination. As well as the health benefits, it is a lot of fun. 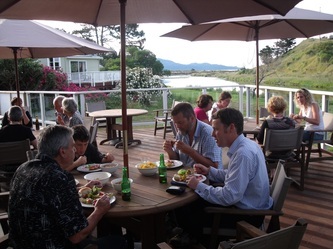 It was a very enjoyable visit and the Hawke's Bay once again, put on beautiful clear sunshine which is always a bonus for the drive to and from Kapiti. 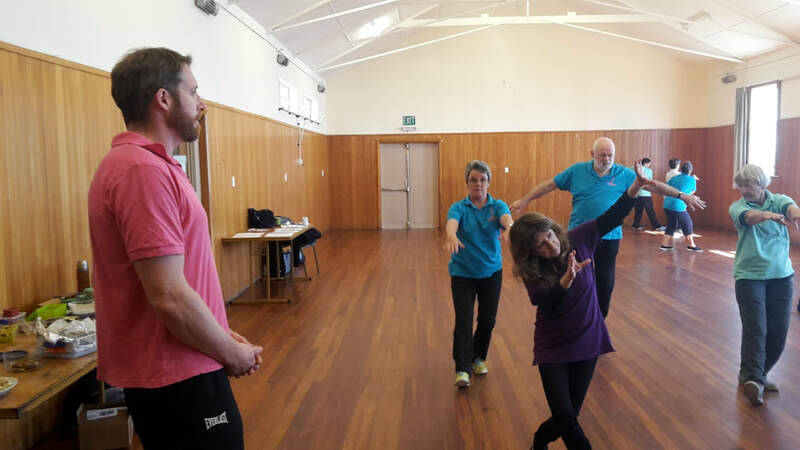 Instructors and students gathered once again from Wellington, Kapiti Coast and the Hawke's Bay to learn and polish this beautiful and profound Qigong form. 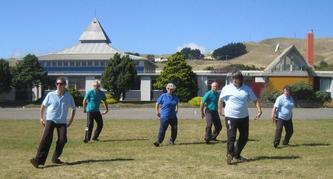 Susanne kindly organised for us to use the in door facility, Tangare at Porirua College. Belinda started the seminar with a lecture explaining about the 12 regular yin and yang channels that traverse the body. After looking at diagrams, students had the opportunity to learn the sequence of how the channels connect by following over the channels on each side of the body with their hand. 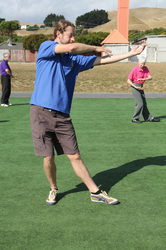 It's a fun exercise and also helps you to learn where the channels are as well as giving you a very nice self massage. Then it was into Wild Goose Qigong learning and polishing with Belinda and Cynthia sharing the tuition. Great seminar. 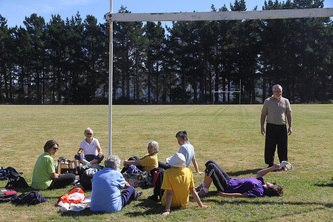 I enjoyed the channels exercise. Shari. Thank you for a very enjoyable day. 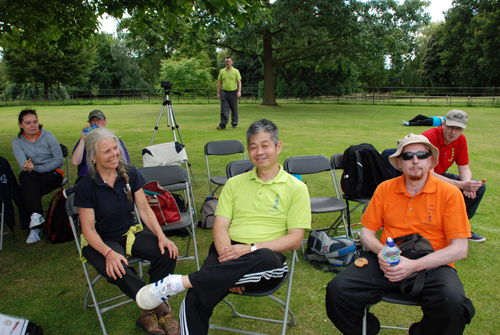 Especially meeting up with lots of other Qigong exponents. Avril. ​Master Tse travelled to New Zealand immediately after Brisbane and was hosted in Wellington by Cynthia and Susanne. 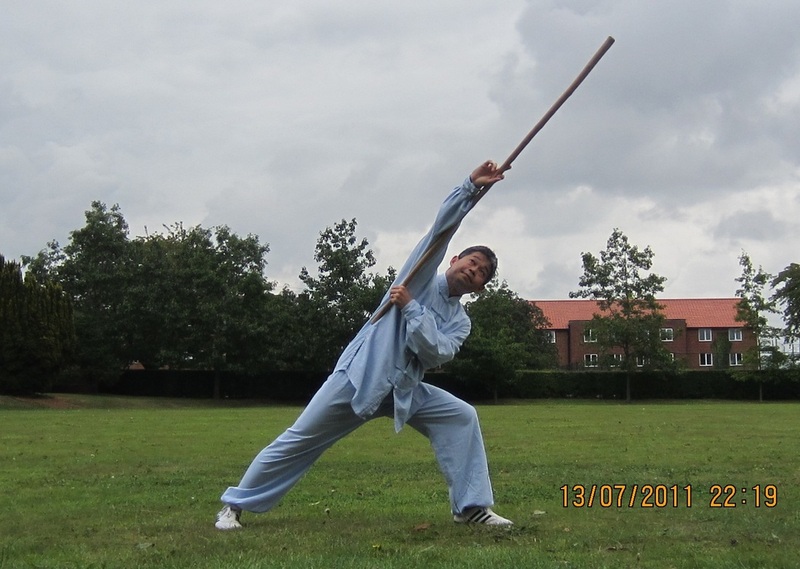 This year saw the Chun Yuen Quan form, Five Tiger Breaking the Gate Dao finally completed. This form may have taken quite a few years to complete but thinking about it, it was rather like a slowly cooked meal, the flavour and essence of the form has slowly developed and when our final shou gong is performed, it is full of richnessand clarity. Good things take time....(and practise!!). 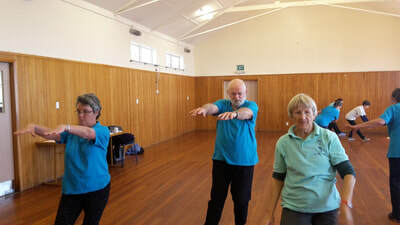 ​The Friday evening was all about Hard Qigong Level 1. 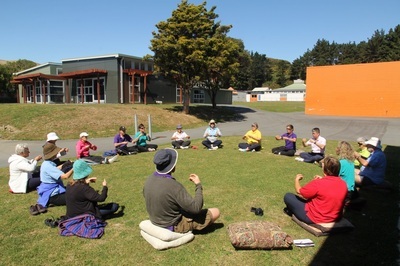 New Zealand students are now on this path of learning and it is quite different from any other form they have learned. 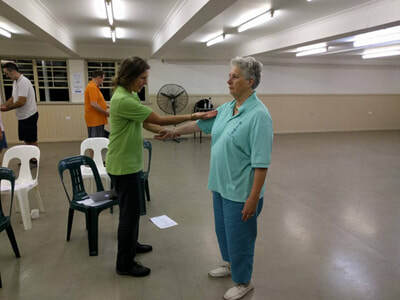 The seminars we attended were Peaceful and Calm Meditation, Enlightenment Gong and of course, we had our own work tested during the Instructor Course. All went very well and as usual we came away with a deeper understanding and more polished movement. Belinda, Jennifer, Cynthia, Susanne with Alison, relaxing at her home. The second Wild Goose Qigong seminar was held in Paraparaumu at the Memorial Hall. This hall is very pleasant to work in with a high stud, and plenty of light and space. 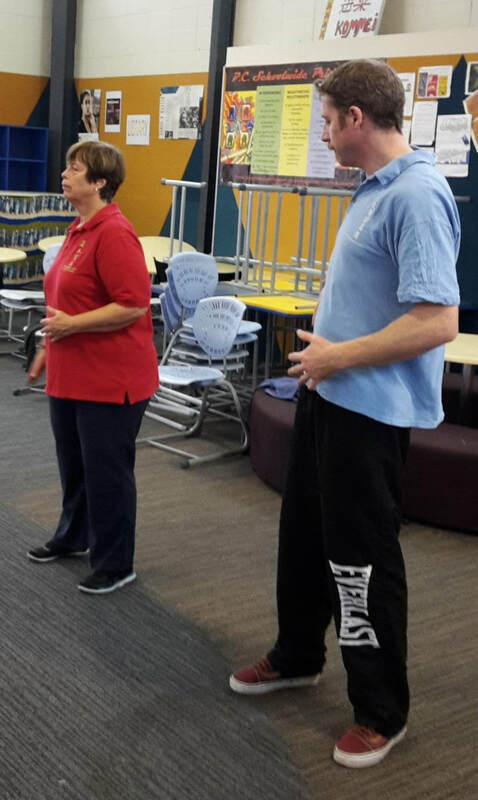 The seminar started with Sifu Cynthia giving an informative presentation on the history and meaning of the word Qigong and an explanation of how it is written in Chinese. 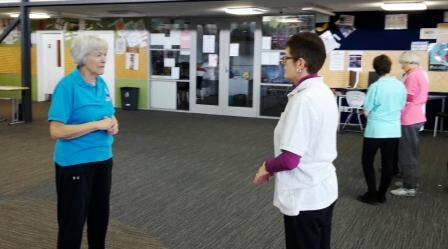 There was a discussion with partners on acupunture points as well as a good discussion nicely led by Cynthia on tips for relaxation, the first principle. It was then onto polishing Wild Goose 1st64. 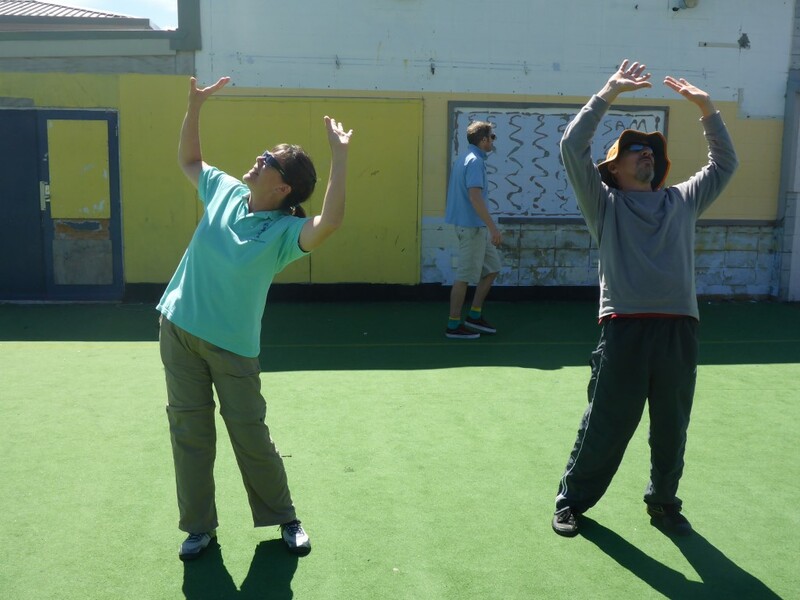 Students were asked to observe very closely that their partners are following the principles that make Wild Goose Qigong such a beneficial and rewarding form. 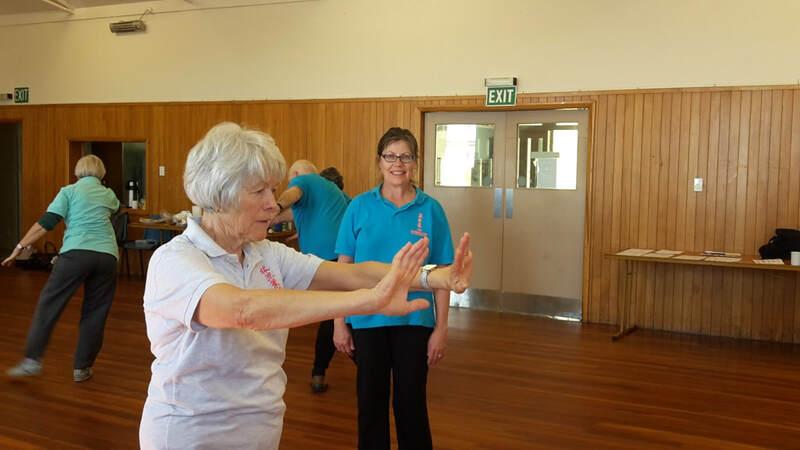 Two students were learning the form afresh; Shari who attended the previous seminar and Helen from Hawke's Bay who has started on her journey with this form. Both students did incredibly well and it's exciting to see them progressing. The polishing and learning sessions were separated by tea breaks and lunch. We were all so engrossed in our work, it wasn't until the end of the day that we realised we had not taken any photographs. 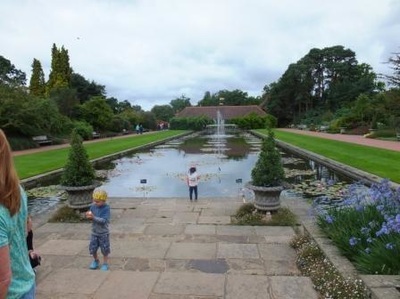 We managed to take these two photos but with only telephones to record the event, we needed an operator. Cynthia and Jennifer did the honours. It was so great to be able to spend a day polishing Wild Goose and to meet up and work with other students and instructors. I am constantly amazed at how sometimes with one small adjustment I can immediately notice a change in the energy of the movement. 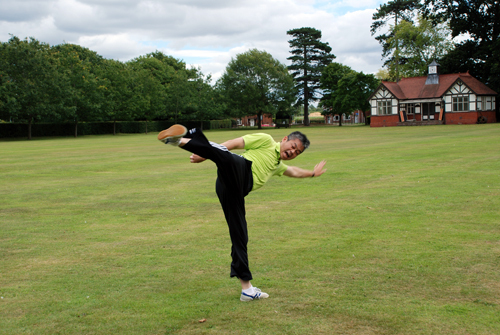 Thank you Sifu and the other instructors who helped to make this day happen, it was fantastic! 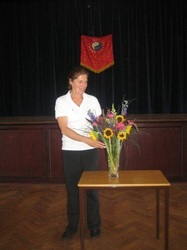 Thanks so much for the wonderful seminar on 15 October! Being my first Qigong seminar and a brand new form for me, I expected to learn a lot but I loved that I also picked up additional tips on stance and relaxation. This just reinforced for me there is always more to learn and polish - something I love about Qigong. It was very nice to travel to Hawke's Bay again to continue teaching some of Jennifer's students, Damo Staff. 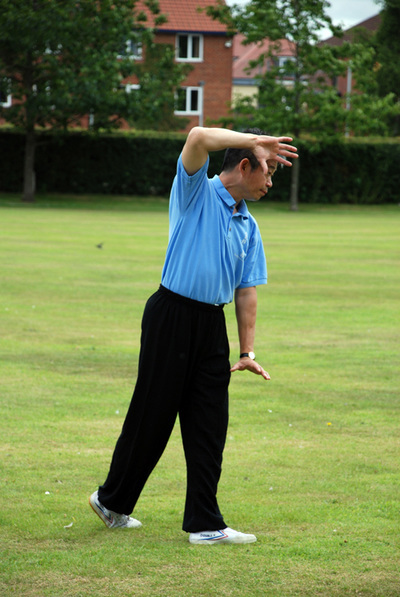 This is definitely one of my favourite Chun Yuen Quan forms and I enjoy seeing everyone develop and become more comfortable with this skill. 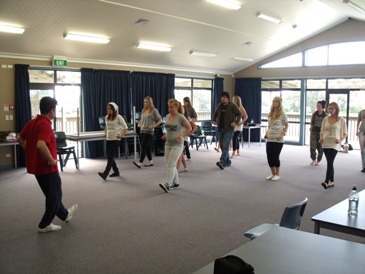 ​Thank you so much for coming to Hawkes Bay and giving me the opportunity to learn Damo staff. I started the day as a beginner with some trepidation, but in such a patient and supportive environment it was no time at all before I was hooked! The class was challenging but so much fun - and very motivating. I would like to thank you very much for the seminar you provided on “our door step” so to speak . Challenging, frustrating, complicated moves - awkward uncoordinated feet in wrong position step behind turn turn staff this way all around still wrong - they make it all look so easy, but if I keep trying it can only get better -. 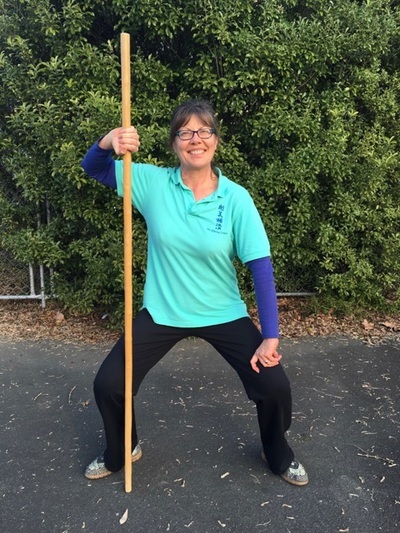 Just so much to remember… up on toes, step with heel, paddle staff, cross over, step behind, sink, staff over left shoulder sort of kneel, stand up hand in front of chest turn staff then and down turn step behind. keep trying, keep trying. Had a nice dinner at Mexi Mama - Big Day. 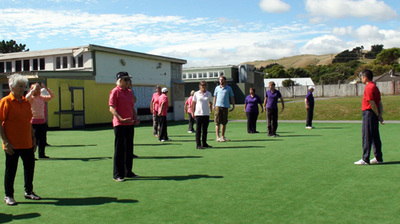 The Wild Goose Qigong seminar was held in Tangare at Porirua College. This was a spacious and warm environment for the seminar. 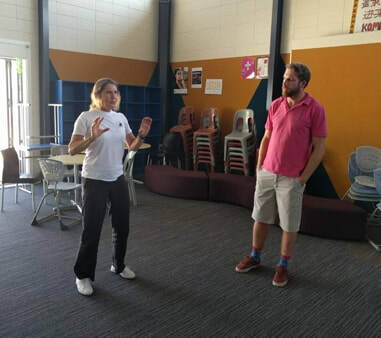 After a brief talk from Susanne about the meaning of Tangare as well as 'health and safety' information, Sifu Belinda started the seminar with a talk about the principles, sequence of learning and working towards deep relaxation. 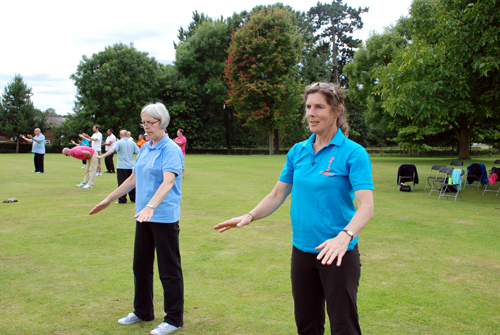 It was then onto the practical with Sifu Belinda and Sifu Cynthia taking turns to demonstrate and answer questions. 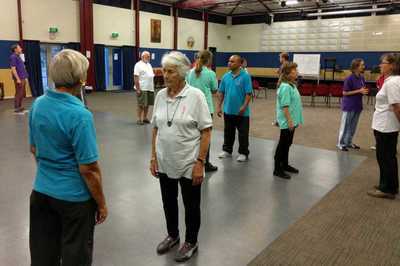 Twelve of the students had previously learned Wild Goose Qigong so it was very much about being observed and polishing, while two students were learning the form for the first time. 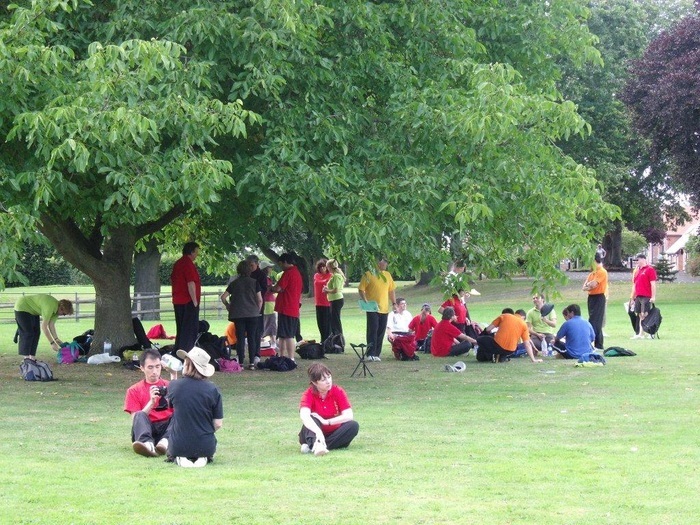 The day went very well with regular breaks for yummy refreshments and for students to chat. It was a fitting seminar to hold at Porirua College as it may well be the last time we use the facilities. 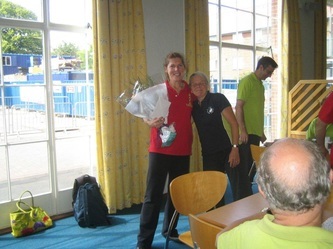 Susanne is retiring from her position at the College and we are very grateful for the many years we have been able to hold seminars there, a huge 'thank you' Susanne. 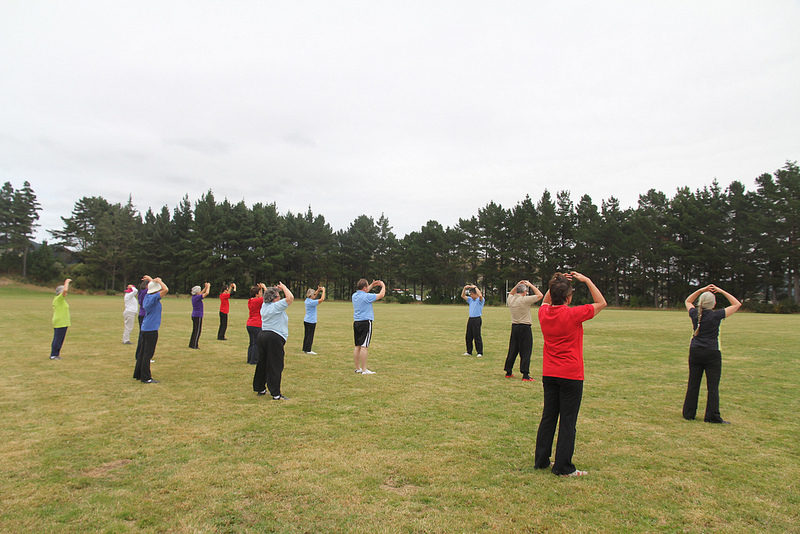 The next Wild Goose Qigong seminar will be held in Paraparaumu on 15 October 2016. Student comments from the seminar are here. 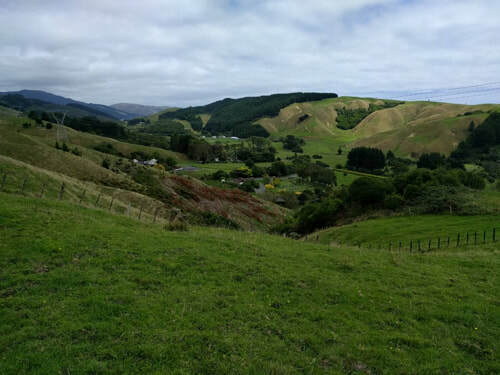 As mentioned in an earlier post, my husband and I decided to hike Te Araroa, the New Zealand walking trail that travels between Cape Reinga and Bluff. We started well enough at the end of October 2015 but unfortunately Anthony injured his knee so we returned to the Kapiti Coast for three months for the injury to heal. In February, we went back up to Northland and apart from returning to the Coast for ten days to attend Master Tse's seminars and a family event, we have been walking our way through Northland. 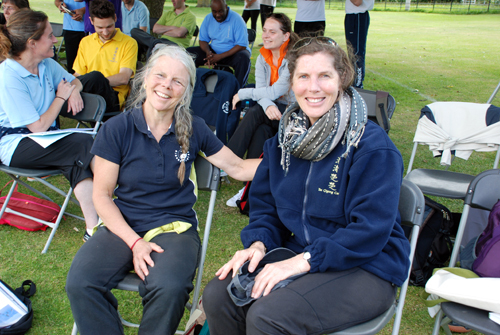 ​I am very grateful to my senior students who are very ably looking after classes while I am away, thank you. 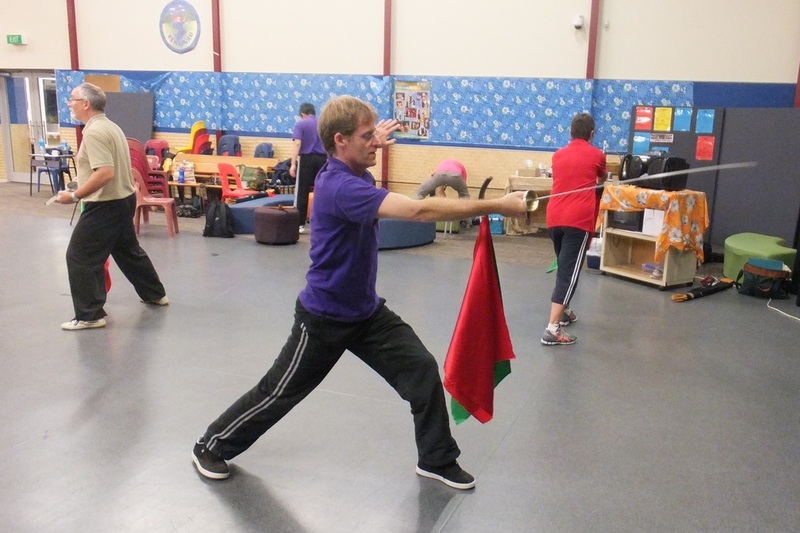 Wednesday and Thursday evenings saw us working with Five Tiger Breaking The Gate Sword. This is long form and each year we get to understand more and more about the details and the energy. 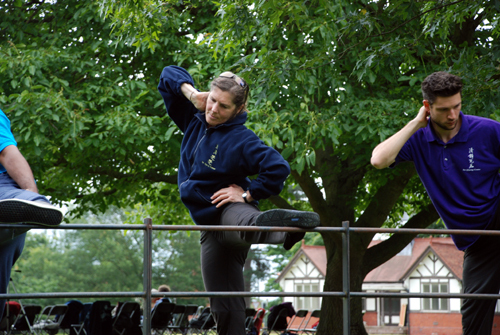 We spent extra time on learning new warm up exercises. 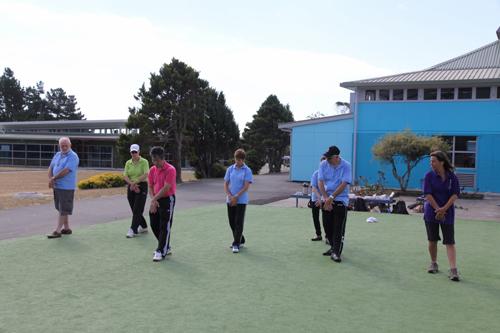 These will really help us to get more comfortable with the moves within the form. 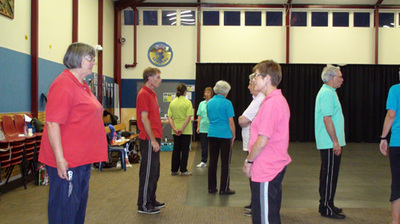 Friday evening was the Introduction to Hard Qigong. This is a very interesting skill and quite different to anything else we have experienced. Explanation about the skill and learning the special breathing techniques filled our evening. Looking forward to more next year. 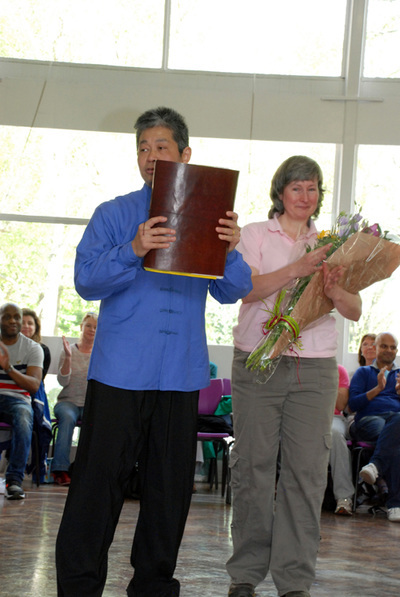 ​Seven Star Opening Gong was Saturday's seminar. It is a shortish form with nice repetition. I love the last sequence - stepping through the 'big dipper'. 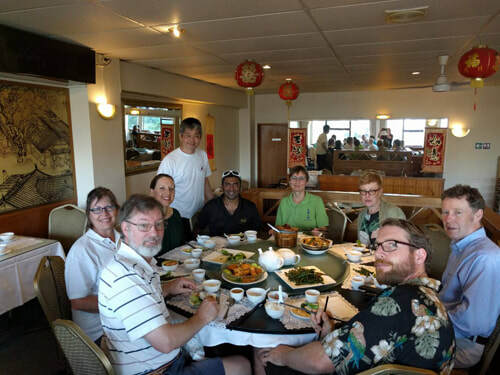 Following the seminar we headed to Wellington for the traditional Saturday evening meal where partners and family are welcome to join us. We had a change in restaurant this year and visited The Dragon on Tory Street, it was very very nice. 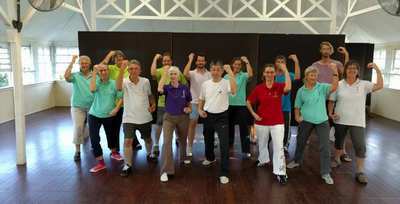 ​Sunday's seminar was Moon Gong. I had heard quite a bit about this form so was looking forward to learning it. This too was a short form so we were able to enjoy Master Tse's very interesting lecture and learn the form in the one seminar. 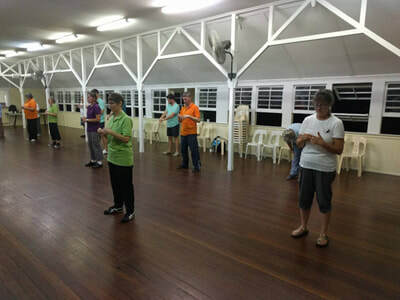 ​Our final session was the Open Polishing on Monday evening. Always a great opportunity to go over our new learning and for those who may not have attended seminars, polishing of Wild Goose Qigong 1st 64 was their treat for the night. 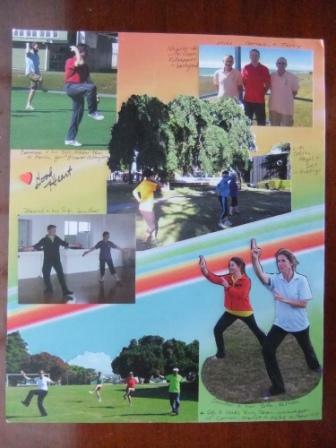 The photographs above are from Tse Qigong Centre website as I currently do not have access to my own. 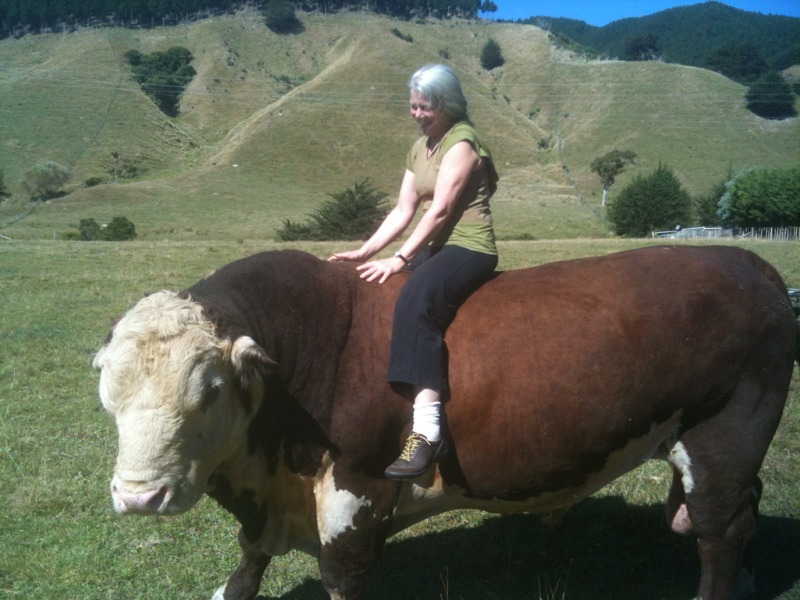 Once I am back in Paraparmumu, I may well add to what is here. The Centre website has more photos as well as comments written by students attending the programme. Please click on comments for the link. 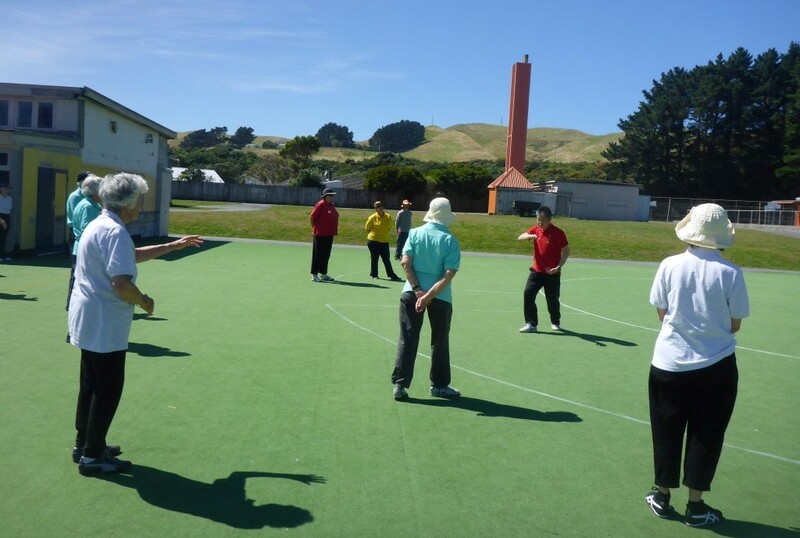 With our summer break nearly over and Term 1 about to commence, Kapiti Coast students gathered together to have a short practice, catchup chat and morning tea at Sifu Belinda's home. 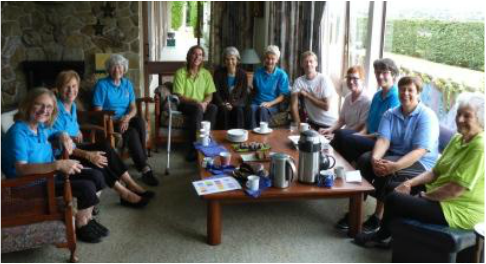 It was lovely to see everyone looking so well and we were delighted that Samarpan was able to join us for tea. 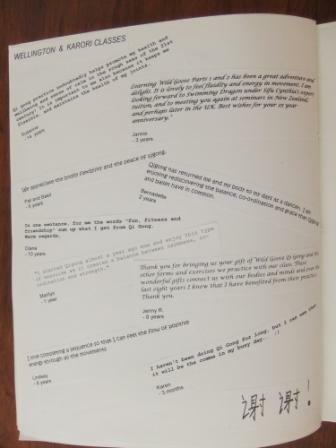 Samarpan has written about her experience in "student comments". It's always nice to have a social get together where family and friends can get to meet up with other students of the class. 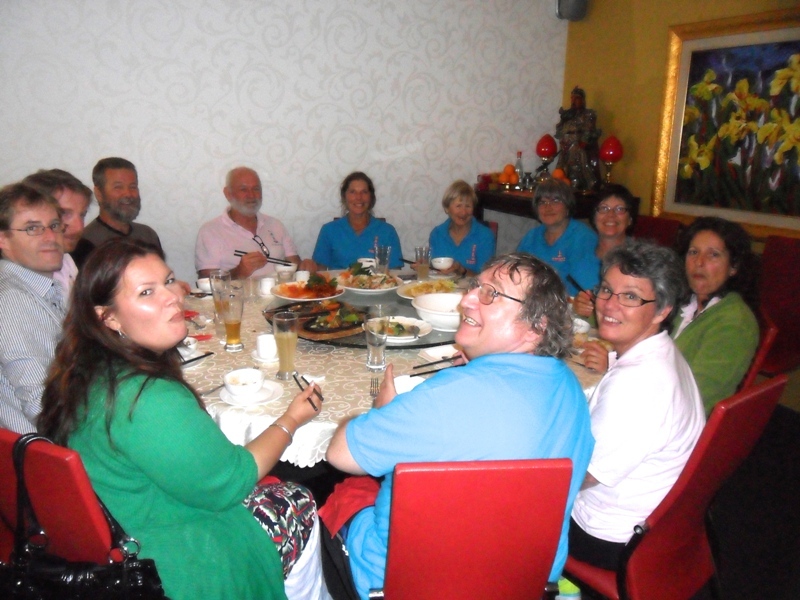 We had our most recent class meal at a Waikanae restaurant, Prah Ta Pang. This small restaurant is one of our favourite restaurants and the food was delicious. 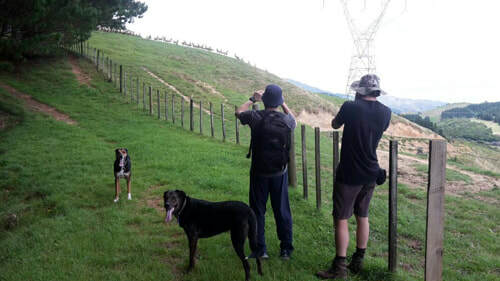 Apart from enjoying each other's company, it was time for me to say goodbye for a few months as my husband and I are taking time out to walk Te Araroa. David, a senior student of mine will very ably look after the Monday morning class while I am away. 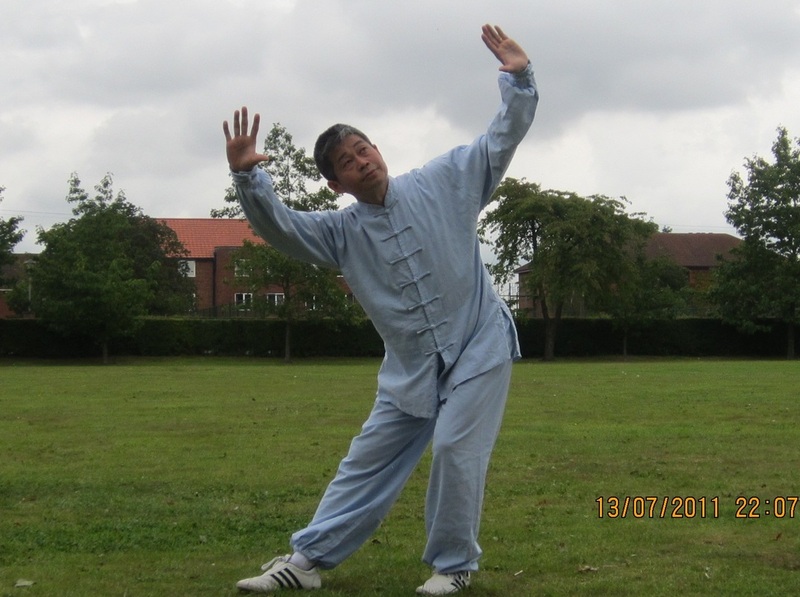 I am looking forward to practising my Wild Goose Qigong and Chun Yuen Quan in some special places! 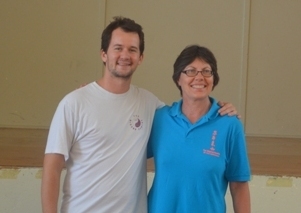 I was very happy to travel to England in August this year to attend both the Instructors Course and the Wild Goose Qigong residential course. As is usual, I arrived in London early so I could attend class and have private tuition with my Sifu, Jessica Tse and also to attend some of Tse Sigong's London classes. 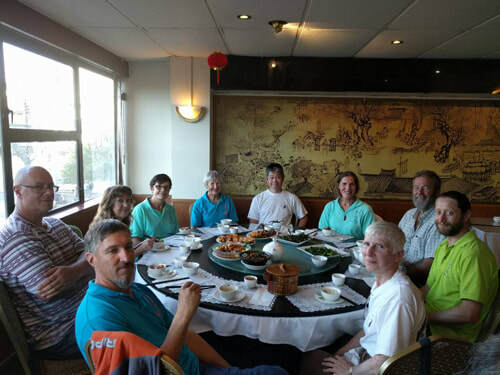 It is also an exciting time for a few of the international instructors to get together to catch up through classes, and over lunches and dinners. 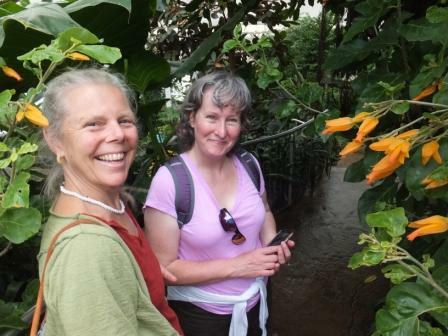 This year however I was the only New Zealander travelling to England and I certainly missed being able to share the fun and learning with Jennifer (Hawke's Bay) and Cynthia (Wellington) who regularly make the journey. ​Along with our Qigong time, Lee (from Canada) and I visited Wisley Gardens with our Sifu and the amazing Joan. 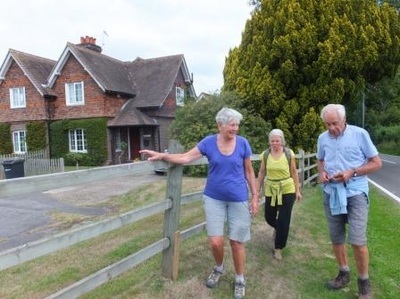 We also enjoyed a lovely 'country ramble' and a traditional pub lunch with our wonderful hosts, Marie and Peter. ​Very soon we were packing up our bags from Wimbledon and taking the train north to eventually arrive at Harper Adams Agricultural College for the Wild Goose Qigong instructors course. Unfortunately for me this year, I missed out on the 'name' test as I had a bilious attack during the night and was in no fit state to attend the first session of the course. 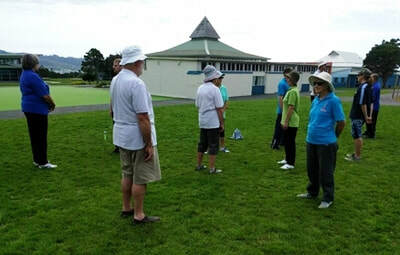 I did manage to get out to the beautiful fields later in the morning to watch Sigong demonstrate and answer questions about Balancing Gong and the Healthy Living Gong set. 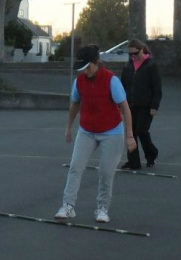 By the end of the day I was able to engage in some gentle practice so at least day one wasn't completely written off. The next three days were filled with; observing forms demonstrated by Tse Sigong, asking questions, a written exam, mock classes, lectures, testing of forms, polishing and practising our forms (with tea breaks and treats), good food and good times. Finally feeling well enough for Level III warm up. My Birthday!! 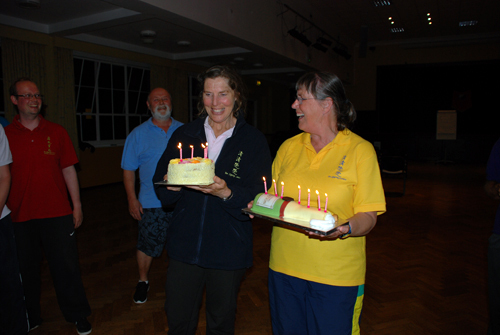 With my birthday being 10 August, it invariably coincides with the instructors course. This year, I shared the special day with Saskia who was retiring on the 10 August. Secret forces were in play as cakes were collected and presented. It truly was a surprise as I usually try to be very low key about the day. 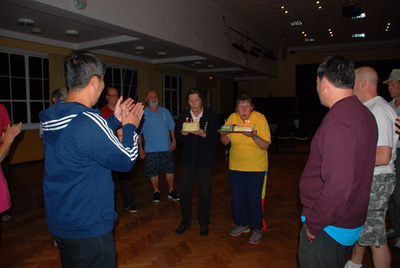 Yummy cakes too....thanks Darryl, Mike, Peter and Adam (I believe were in charge of collecting the cakes) and I'm pretty sure Lee ,Christine and actually everyone else had a part to play as I have a beautiful card signed by all the instructors and my Sifu and Sigong. Really nice! All too soon the last day of the instructors course arrives and many photos are taken. 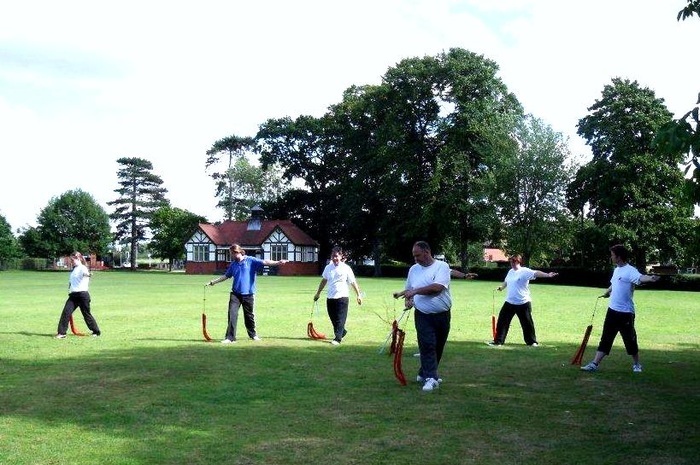 "Each time I attend the Instructors Course I appreciate all over again how privileged I am to have these skills being passed on to me by such dedicated, caring and loving people. I am keenly aware of how big the “heart” of the Tse Qigong Centre is. This year I feel my attention being drawn to “depth”. 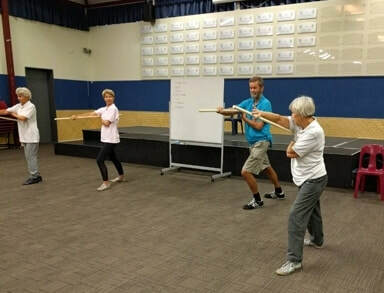 Depth of our Dong Gong (Active Qigong) and depth of what Qigong is all about and the essence of the Dayan Qigong system. The written exam inspired me to want to learn more and look deeper, as did and the polishing and testing. 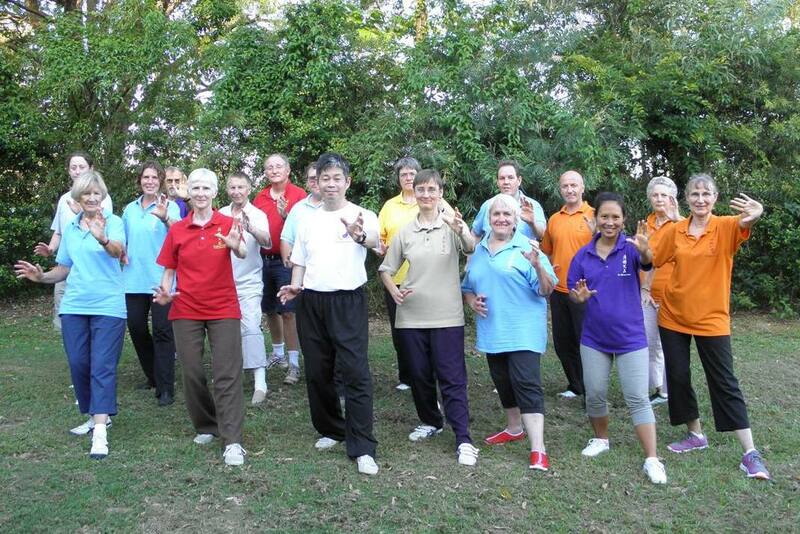 A big thank you to Sigong and Sifu, and everyone else for such an embracing and enjoyable four days. 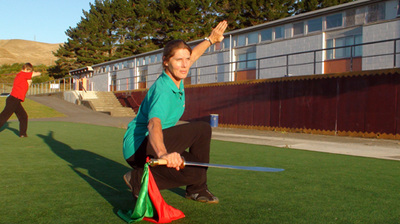 Belinda H. 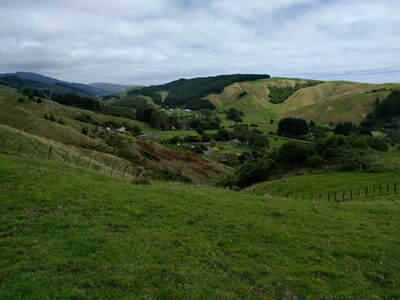 NZ." Following straight on from the instructors course was the Wild Goose Qigong residential course. Even though I had learnt Wild Goose Qigong 1st 64 and 2nd 64 many years ago, it is always a pleasure, and very important to be able to attend a course to polish and hone an existing skill. 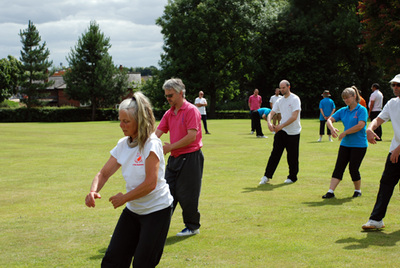 The course was also available to students learning the form afresh. 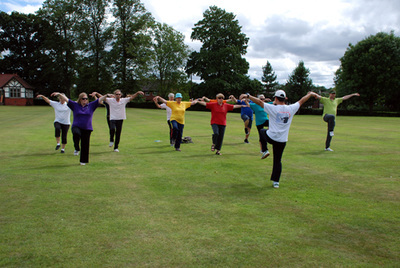 The residential courses are very relaxed and the three days are dedicated to lectures, demonstrations, practise, nice meals along with enjoying the company of others keen to have the Wild Goose Qigong form part of their health regime. "Thank you once again for a great seminar. 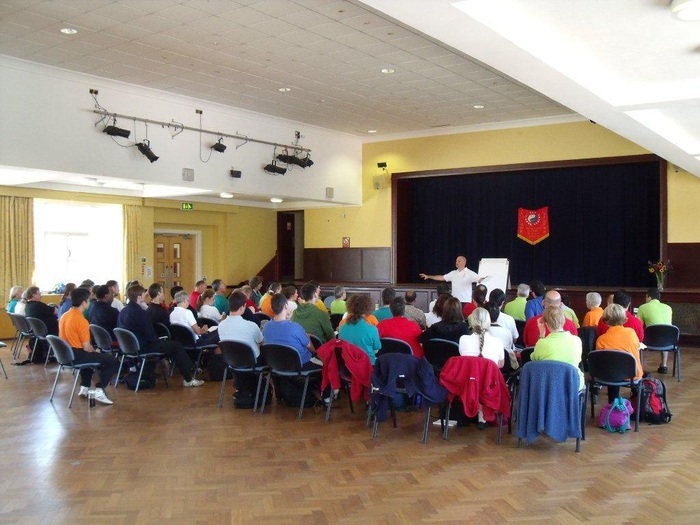 The lectures, demonstrations, details and explanations all help towards a deeper understanding. A wonderfully enjoyable residential course! 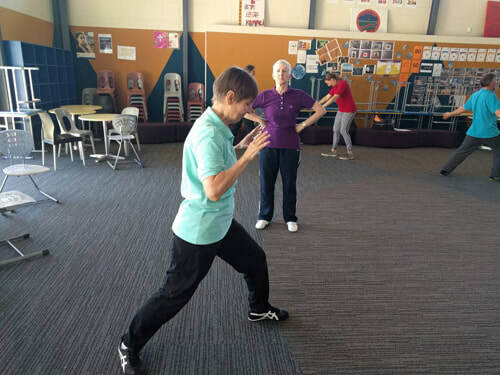 Belinda"
Sifu Jennifer had organised a seminar for her students to continue on their journey with the Chun Yuen Quan form, Damo Staff. 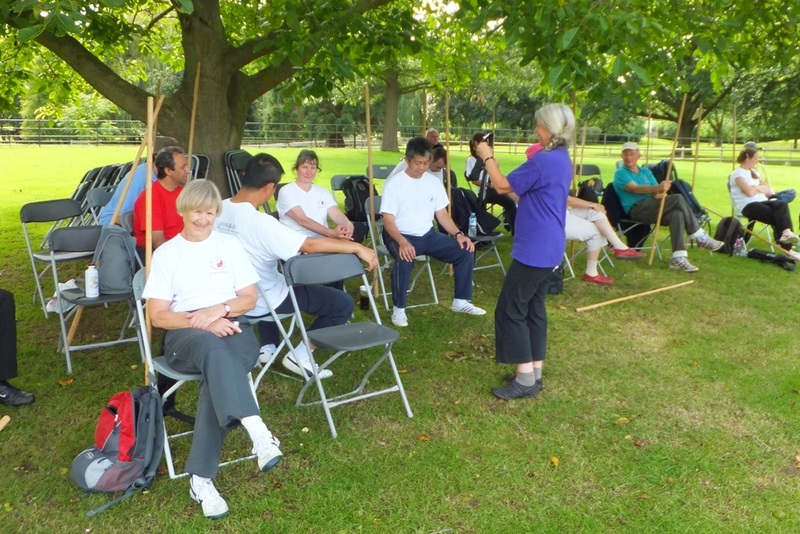 Last year Sifu Belinda introduced the Damo Staff Warmup exercises so the natural continuation is to make a start on this long form The hall Jennifer organised was ideal for the seminar but with the weather being pleasant we were able to work outside for most of the afternoon. 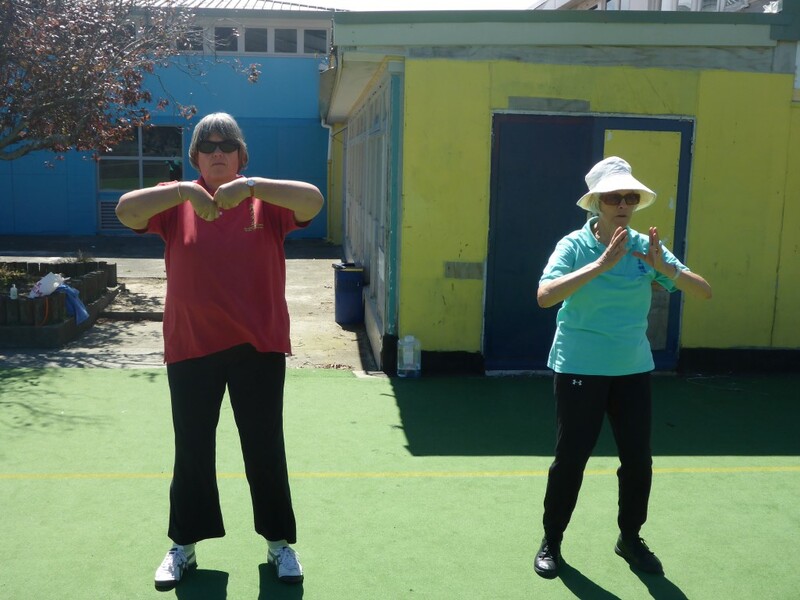 Everyone did really well to learn the first section of the form with Jennifer having her existing work polished in places and helping others when needed. Belinda encouraged all students to practise what they had learned during the day, before they went to bed that night. This really does help when it comes to retaining what you have learned. The day finished with a wonderful class dinner with partners and other students. 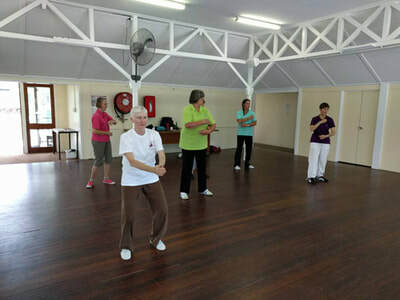 The next morning was again a beautiful day so Jennifer and her Sifu, Belinda were able to spend valuable time together, with teaching of new moves and polishing learned forms. Thank you Jennifer for hosting me and Anthony and for organising a great weekend. 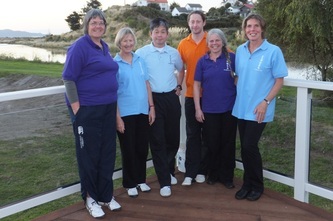 For more pictures from the weekend, please visit the Hawke's Bay page. 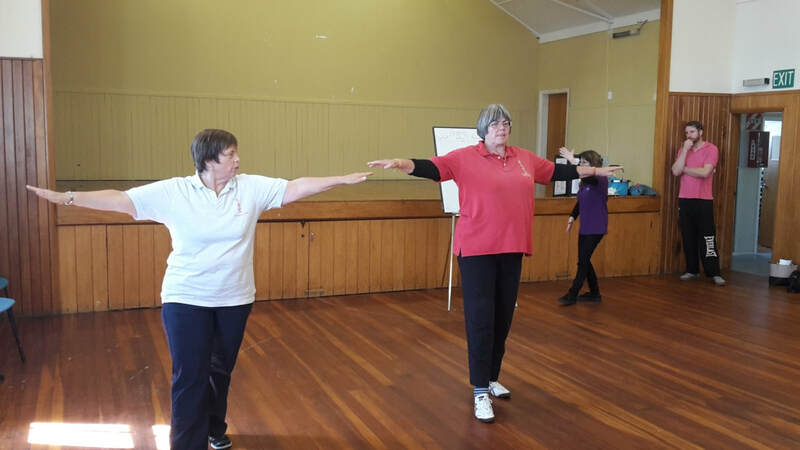 May 2015 - Woolshed Qigong!! 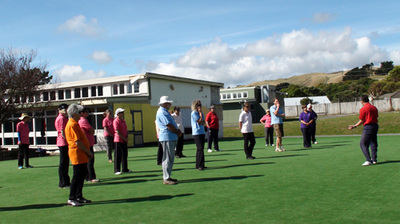 May was a little different for the Kapiti Coast classes. Unfortunately we were unable to use our regular venue for a few weeks as the floors were being resurfaced and polyurethaned. 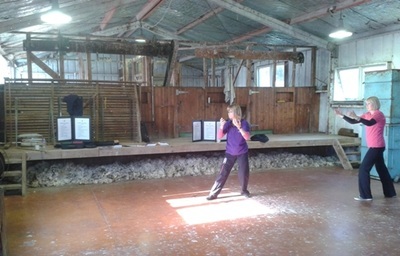 Finding another venue is always a struggle so rather than canceling class, Sifu Belinda had a 'light bulb' moment while working with some sheep in the family's woolshed. There before her eyes was an open space with floor area very similar to the class venue. 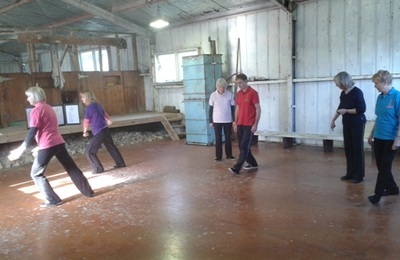 With some rearranging of equipment, sweeping up the dags and scrubbing of the floor, the woolshed temporarily became the venue for classes. The photos tell the story! There had been a great deal of anticipation and practise towards this special day. 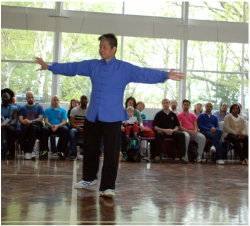 The Tse Qigong Centre website thoroughly recorded the event and you are able to see photographs and videos clips of the demonstration through their website. Some of you might remember Ian Armstrong from England. 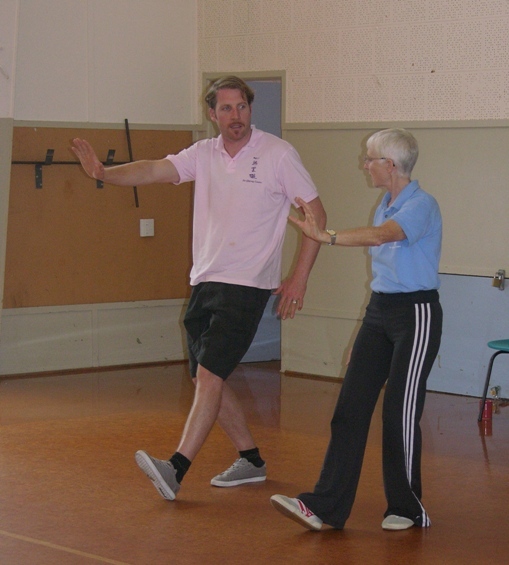 Ian has attended several of Master Tse's New Zealand programmes. 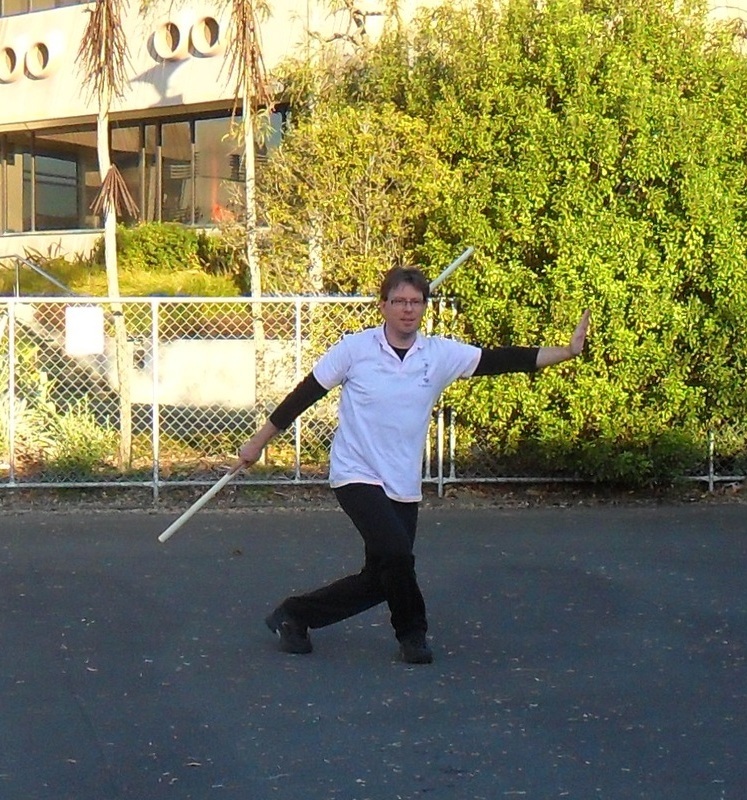 You might also remember that Ian was very adept at the Chun Yuen Quan skill. Click on this link to watch Ian demonstrate the particularly difficult White Monkey Staff. 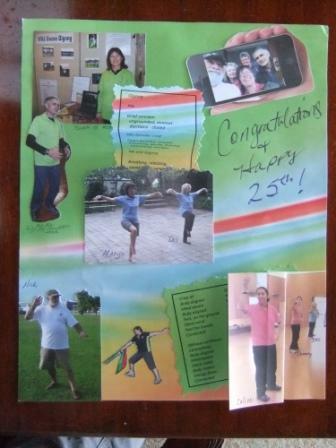 From this side of the world, we were eager to see Tse Sigong and Sifu Jessica receiving the "world traveled" Scrapbook. 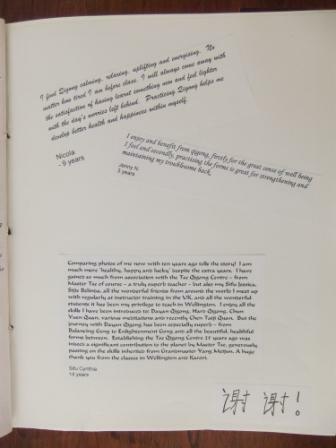 The scrapbook idea of Darryl's was a wonderful way for all students and instructors from around the world an opportunity to feel part of the demonstration. 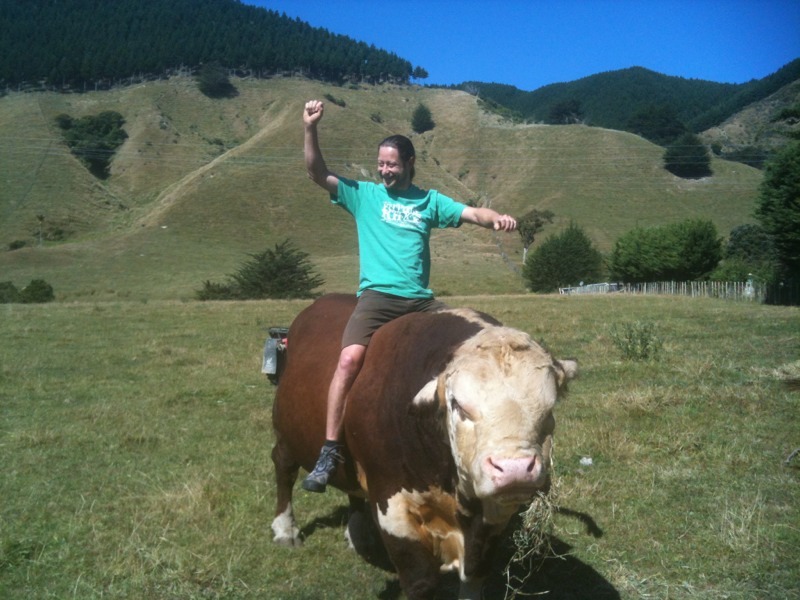 (Please scroll down to the see the January post regarding New Zealand's contribution). 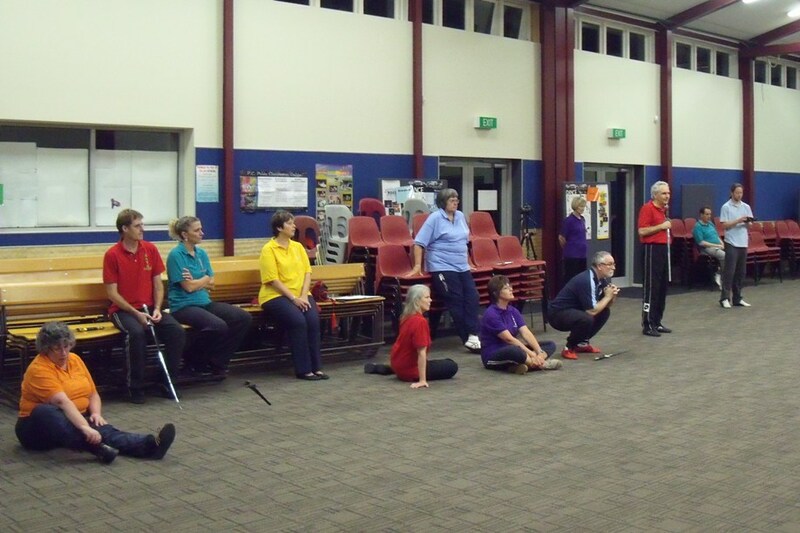 Click on this link for the video recording - there is a demonstration of Hard Qigong before the presentation. 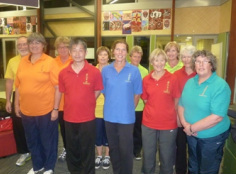 Kapiti Coast Instructors sitting written exam. 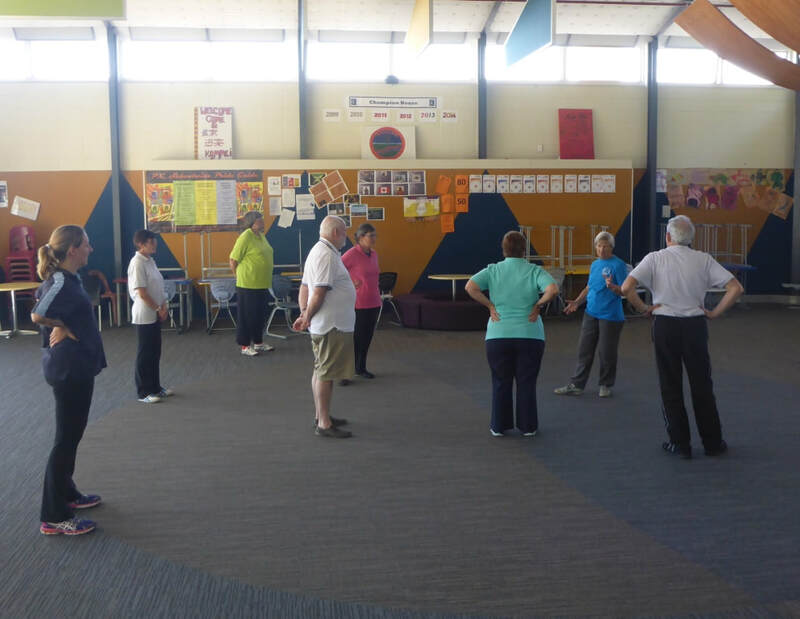 For the very first time an Instructor course was to be held in the Southern Hemisphere and Paraparaumu on the Kapiti Coast, New Zealand was to be the venue. Instructors attending the course were from New Zealand and Australia. Written exams were held earlier in our own areas so the actual day could be spent on polishing and testing forms. 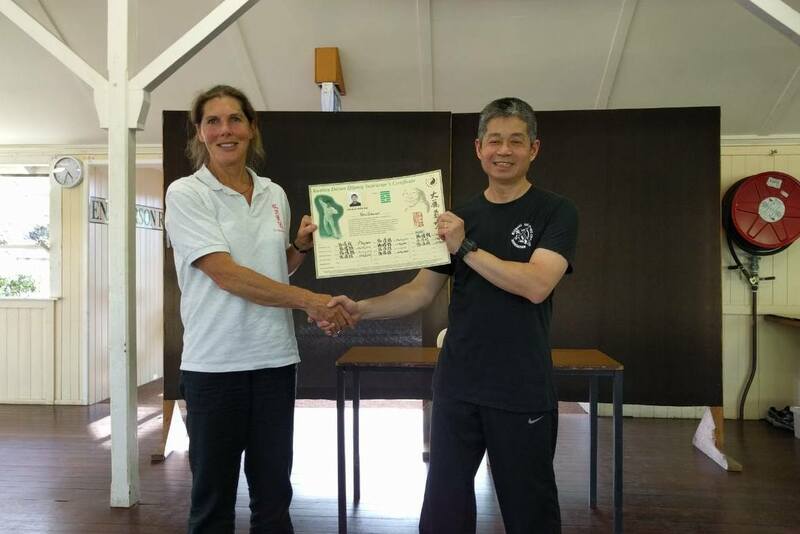 Due to unexpected circumstances, Master Tse was unable to come to New Zealand however, it was decided that the instructor course would go ahead. 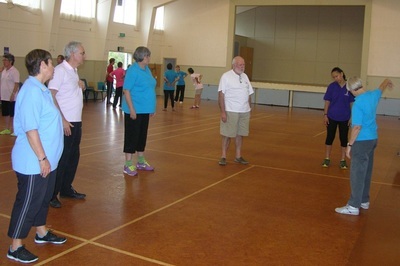 Fortunately the four senior instructors; Sifus Belinda, Cynthia, Jane and Vera who would facilitate the day, had time with Master Tse in Australia beforehand so clear guidelines were set. 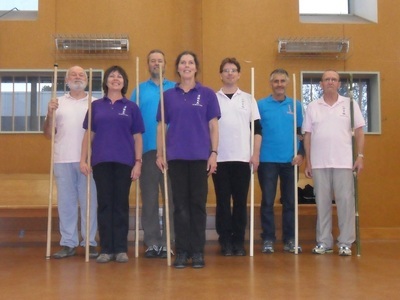 As instructors arrived at the hall, there was a feeling of anticipation and for twelve of the sixteen junior instructors a fair bit of apprehension, as it was their first experience of an instructor course. The morning started with a welcome and briefing, followed by demonstrations, question time and polishing. 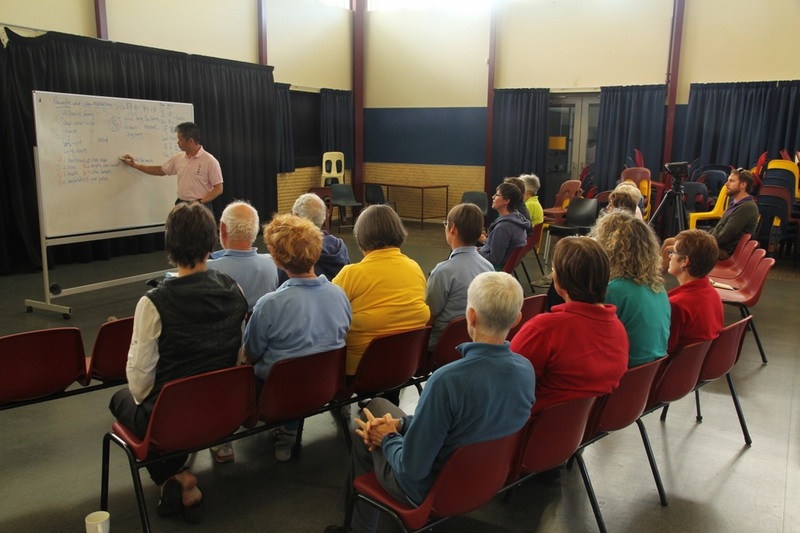 It was mentioned during the welcome that instructor courses were not just about passing tests and for deepening the skill, but also to help train instructors to be instructors. Lunchtime soon came around and a long table was brought out where there was lots of nice food and good conversation among many who had just met. The afternoon was dedicated to testing. This really is quite the juggling act but with the testers having experienced many years of instructor courses in England this seemed to run smoothly. Tom and Jennifer very ably recorded the day with lots of photos as well as fulfilling their designated roles as polishers. 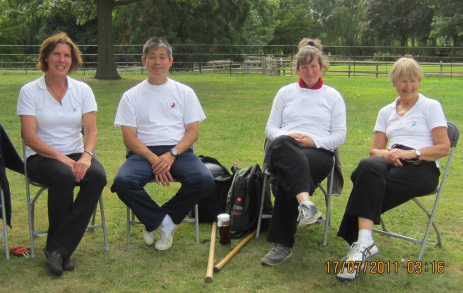 In between testing and polishing there was time to sit, relax and absorb all that had been learned from the day. 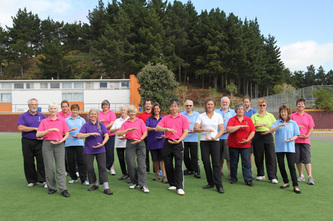 As the first Instructor course to be held in New Zealand wound up, group photos were taken. Special thanks to Tom and Jennifer for recording this day with photos and to Jennifer for the nicely presented slideshow. 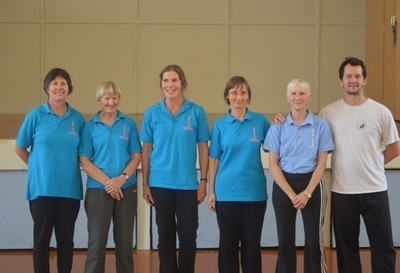 Australia and New Zealand 2015 Instructor Course group photo!! 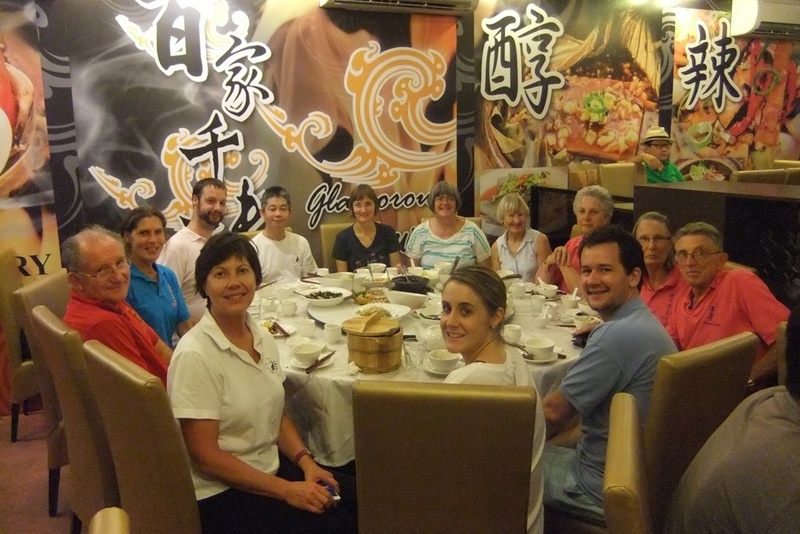 The final event of the day was dinner at a local Chinese restaurant where amongst the conversations were discussions about looking forward to the next instructor course to be held in Australia in two year’s time. With everyone taking on a “patient and gentle” attitude it truly had been a special day. It's the time of year we all look forward to when Master Tse visits Australasia. 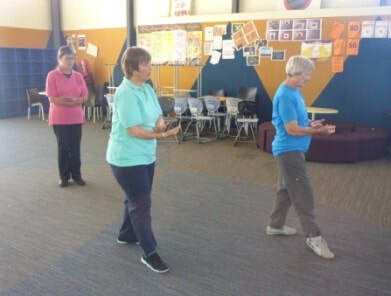 As often happens Sifu Belinda from Kapiti Coast, Sifu Cynthia and Susanne from Wellington and Sifu Jennifer from Hawke's Bay made the trip across the Tasman to attend Sigong's programme. It had a different intensity this year as Sifus Cynthia, Belinda, Jane and Vera were to have some of their forms tested by Master Tse. 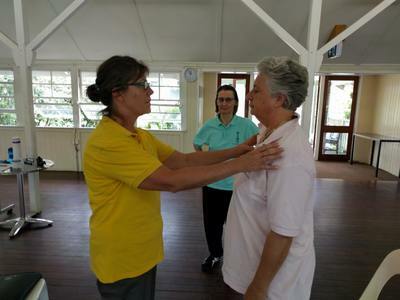 As well as the testing, further learning of Hard Qigong, Eliminate Sick Qi Gong and Enlightenment Gong took place. 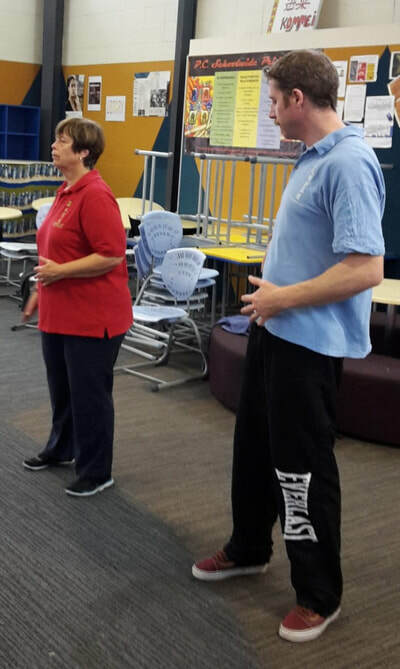 It is always a treat to catch up with our Australian Qigong family and to experience the warm hospitality of everyone in Brisbane and a special thanks to Ian and Alison Harrington who loaned us as car - it was a bit nerve racking driving through the centre of Brisbane at times but we got to there in the end. 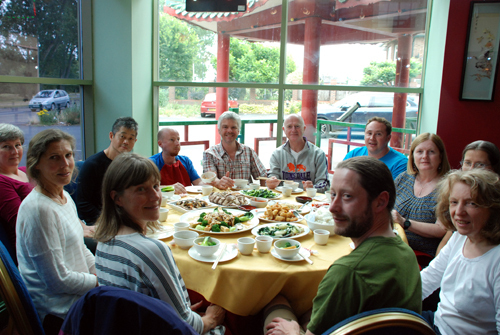 Lots of learning and practise interspersed with tea, nibbles and our traditional group dinner where Sigong orders the dishes....very yum! A brief but fulfilling visit by the four from New Zealand. 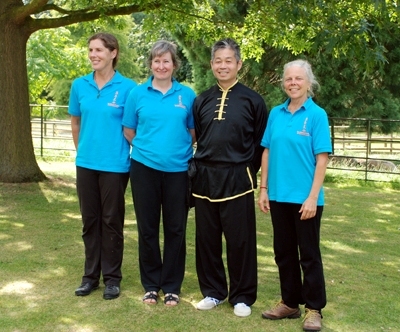 The year of 2015 is particularly special as it is the 25th year anniversary of the Tse Qigong Centre. 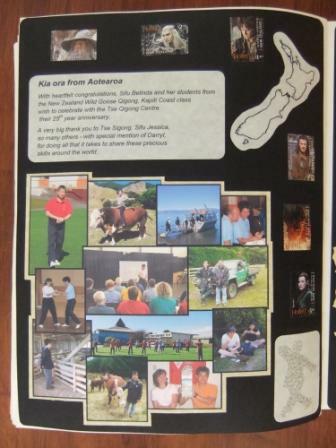 Darryl Moy of England decided that a good way to commemorate the anniversary was to send a scrap book around the world and have all the students contribute. You can imagine the logistics of such an exercise but to everyone's credit, especially the planning by Darryl, it worked well. 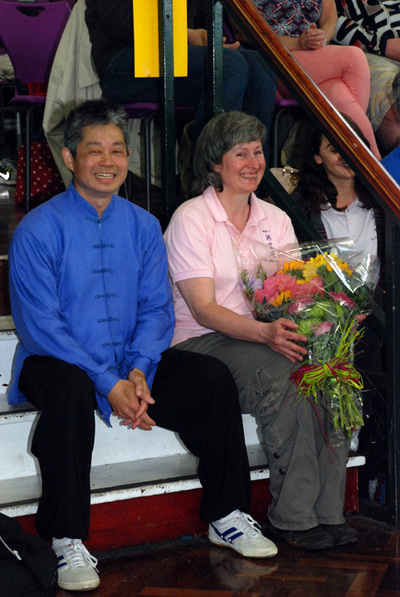 Even more remarkable was that it was kept a secret from Tse Sigong and Sifu Jessica. 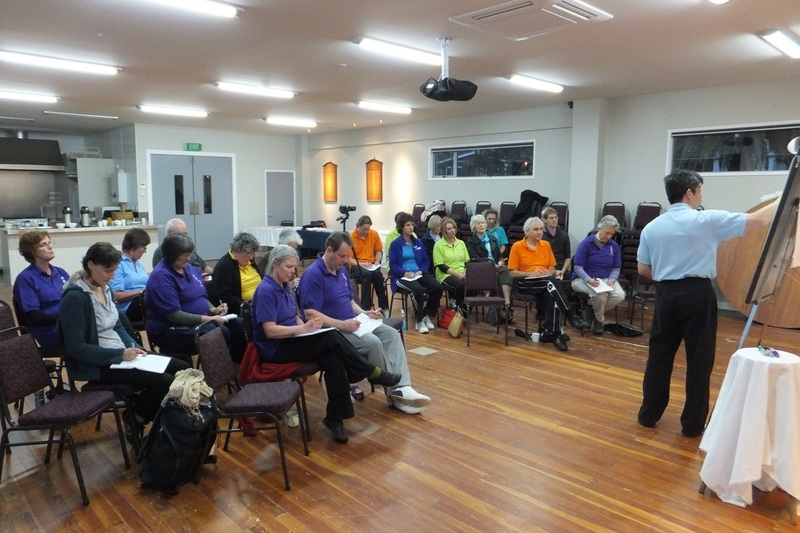 The three New Zealand instructors organised their pages and to see the pages and contributions more clearly, please visit this dropbox link. 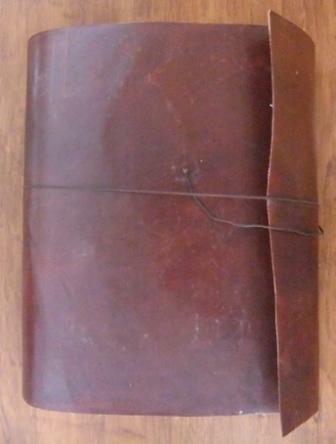 Beautiful leather bound scrapbook with contributions from all over the world. 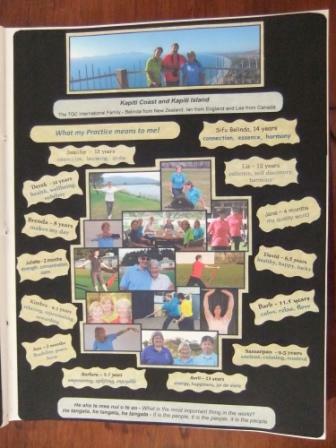 Pages from the Kapiti Coast classes. 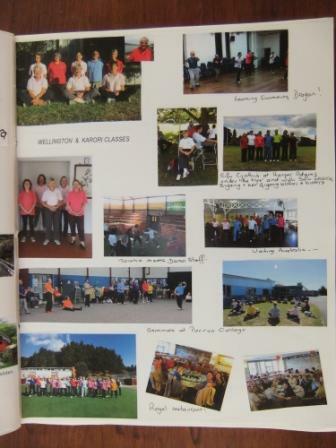 Pages from the Wellington classes. Pages from the Hawke's Bay classes. The Hawke's Bay certainly knows how to turn on the weather! The day was crystal clear, warmish temperature for this time of the year and not a breath of wind. 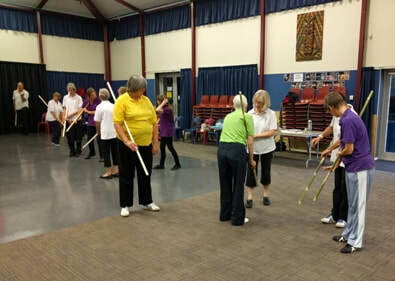 After a brief talk, sorting through the selection of bamboo staff and trimming them to the right height, we headed outside to start the challenging task of learning the different warm up exercises. 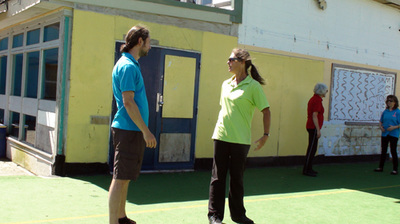 It didn't take too long before students were handling their staff with more confidence. Damo Staff is one of my favourite forms. I particularly like working with staff during the winter months. It helps keep my body warm, flexible and co-ordinated. 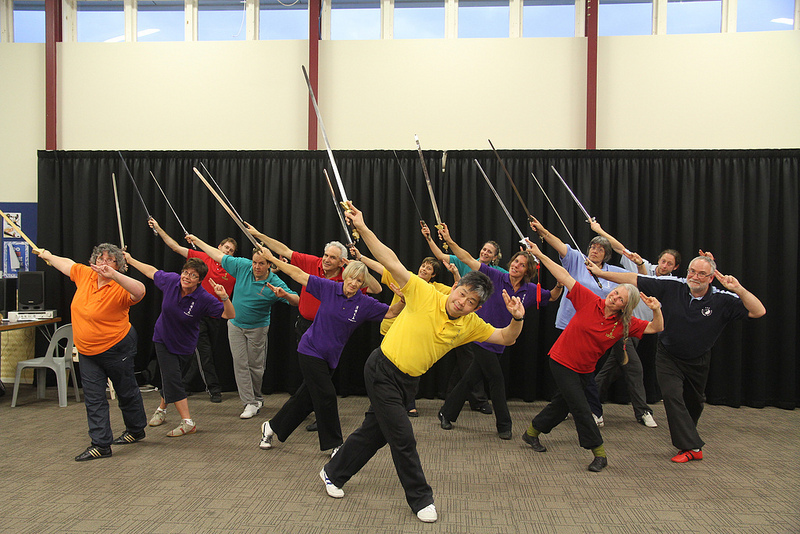 Another reason I like Damo Staff so much is, it is quite simply "great fun"! "Hand and Leg Have Same Heart" (picture to the right) is one of the warm up exercises - picking up the staff with a flick of the toe and catching it with the hand. After a consuming four hours of learning and training, we gathered for the traditional group photo. 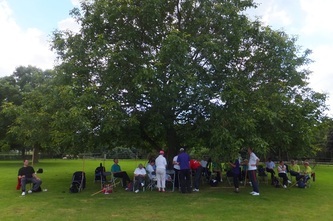 A group meal and some private tuition the next day rounded off my very enjoyable visit. Thank you Jennifer for organising this weekend. Master Tse arrived in New Zealand soon after finishing the Australian programme. Unfortunately, Wellington had a rather cool southerly passing through so warm clothing was needed all around for the first couple of days. 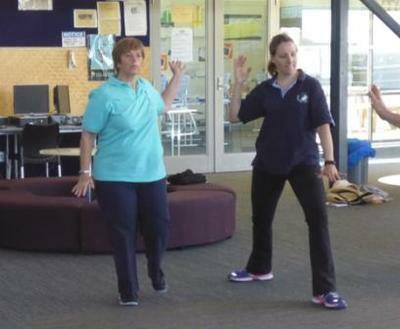 Once again, thanks to Susanne, we were able to use the facilities of Porirua College for the seminars. The first three evenings saw us polishing and learning new moves with the Chun Yuen Quan form "Five Tiger Breaking the Gate Broardsword". ﻿﻿"What a wonderful challenge these five tigers are. 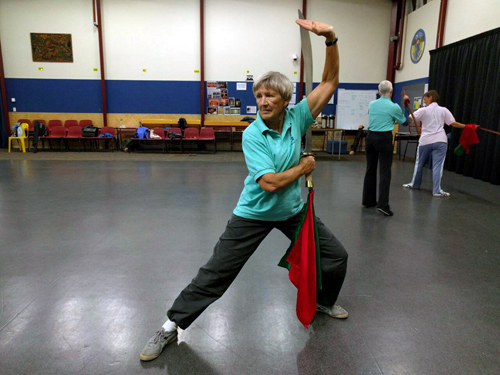 They move in a complicated, athletic, confusing and beautiful way, which tests every part of the mind and body. A good challenge is often what we require, to develop and to push us, and the Five Tiger Dao certainly does that. Sigong has an amazing way of teaching, making something so difficult look so effortless and easy, and this form is a great example of that. Thank you for sharing this amazing form with us, with such clarity and skill. 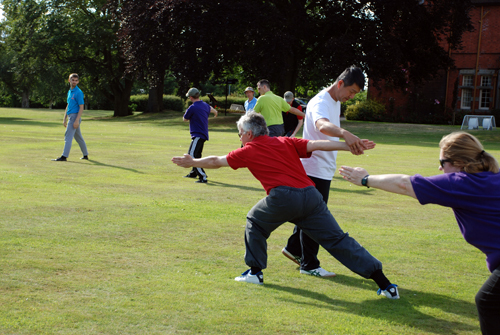 I lo﻿ok forward to the final instalment to complete the form, with a lifetime ahead needed to practice it!" Our Wild Goose Qigong form this year was "Eight Pulling Waist Gong". 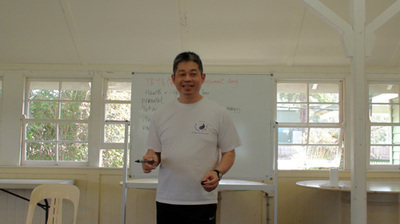 The seminar started with Master Tse presenting a lecture and of course telling us a story. For those who were new to Sigong’s seminars and students who have regularly attended, this was very much appreciated. Thankfully the weather had warmed up again and with clear skies and fresh air that seems to surround Porirua College, we were able to learn our new form outside. 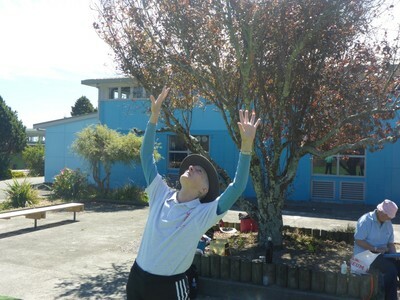 ﻿"I really enjoyed learning this form. It is short and seems to be easy to remember - for me it’s something I can do first thing in the morning when I don’t have much time. Very powerful for the waist area and the internal organs." 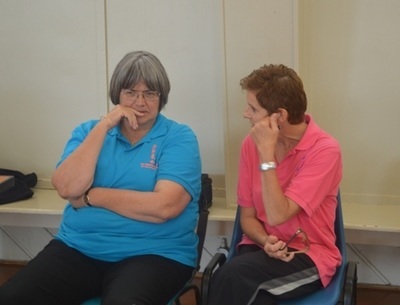 "Your lectures always resonate with me - and some years I am so needing to hear whatever lesson is being shared. 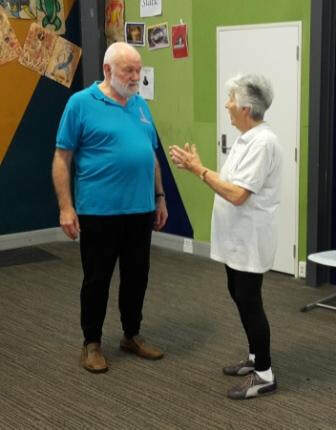 This year all the lectures both in Australia and in NZ had common threads which were/are such a lovely confirmation to where I feel I am - clear foundations." 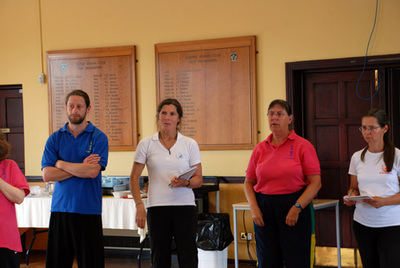 "I thoroughly enjoyed the seminar and particularly benefited from individual pointers about my posture. It was an honour to finally meet Master Tse." ﻿"I always enjoy attending Master Tse’s seminars. 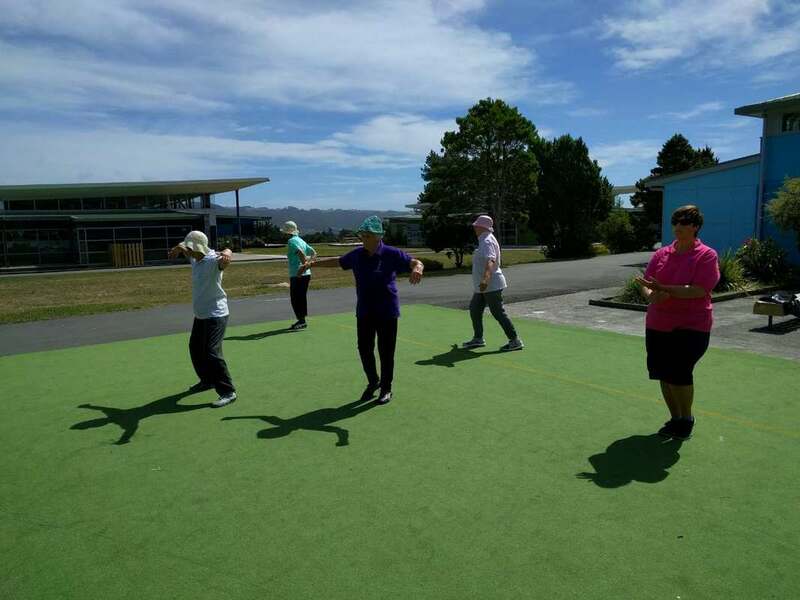 It was great to come away with a form that I can do with no excuses, as Tai Sigong points out...everyone has a minute in their day." We enjoyed our traditional Saturday evening meal at the Regal restaurant in Wellington. 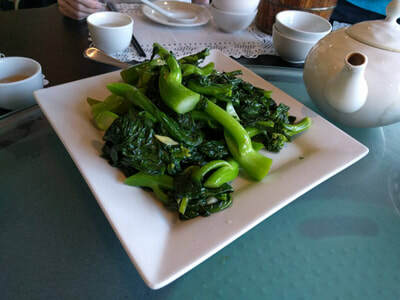 As has become a tradition, Master Tse selected the dishes - it was delicious! The "Peaceful and Calm Meditation" seminar offered us all a lot to think about. Master Tse spoke about ‘stillness’, ‘movement’ and seeking balance, going on to explain the purpose of meditation is to become peaceful and calm. 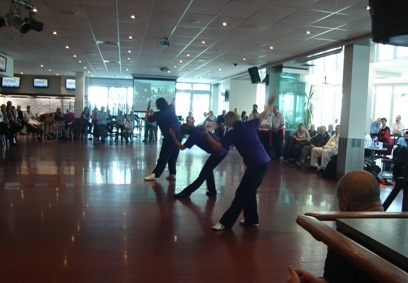 The seminar was a mix of theory, learning the poems and practising the form. 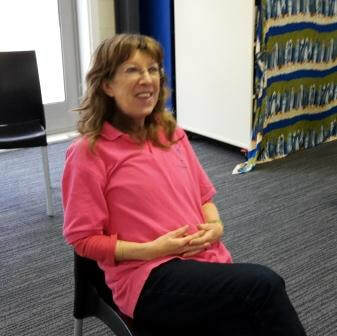 ﻿﻿"Learning this meditation was not too taxing and consequently calm relaxation came more easily. The lecture was extremely interesting too. 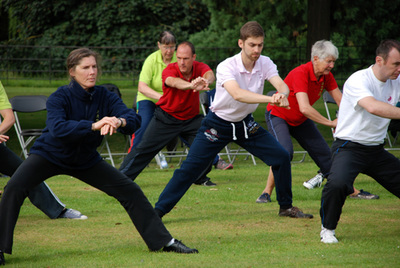 I am sure I will build this meditation into my qigong routine and enjoy the benefits that will bring." 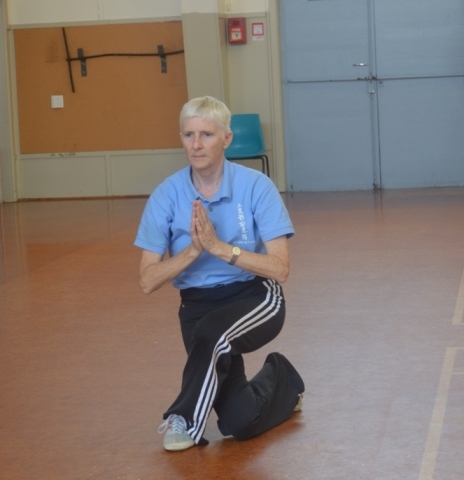 "Being a fairly ‘new’ member of Qigong, I found the meditation form by Master Tse really helpful. I have tried to practise meditation from books and have still been unsuccessful in maintaining the ‘stillness’ which is required to avoid all that ‘stuff’ from rushing backing into your head. I found in the short time whilst practising this meditation, it gave me a strong sense of quiet. I am encouraged and feel positive that if I continue to apply this form, I should certainly benefit from using it in my life on a regular basis." "This will become a favourite practice, leaving me in a calm and clear state. 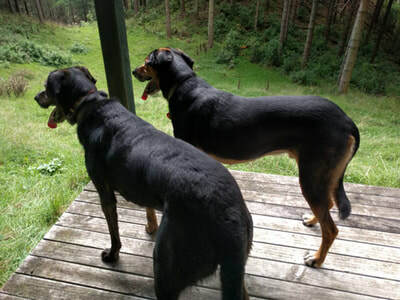 Thank you, Sifu, for catching me up on what I missed and for sharing this with us all." 'This meditation is a beautiful practice. Everybody's tension about learning and having to recite four poems off by heart seemed to dissolve once we started the actual practice. It is such a simple and profound skill. 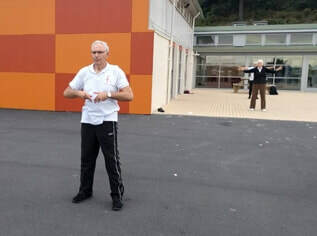 Thank you Sifu for teaching it to us and giving us the opportunity to repeat the practice during the polishing seminar." "A lovely day! I really enjoyed the way Tai Sigong explained it to us and helped us to learn this meditation. I find repeating the poems very soothing. I am very grateful to have access to this meditation and will definitely use it. " 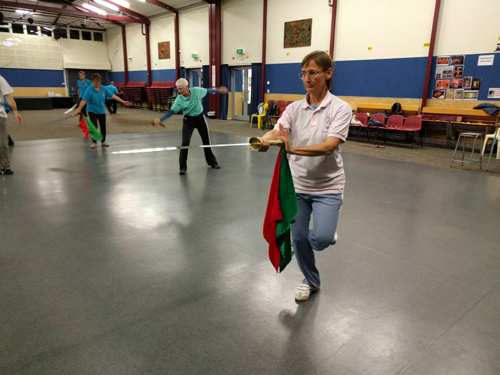 Our last evening of tuition arrived and thank goodness for Polishing!! I have no photos of this session but without doubt it is a wonderful opportunity to check our new forms are on track and for others, an opportunity to watch Sigong demonstrate forms they may have been working on in class. 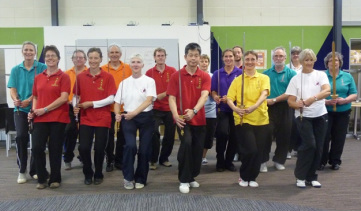 A very big thank you Sigong (Master Tse) for travelling to New Zealand to help us all grow and develop our skills. We look forward to having plenty of new and inspirational work to practise with this year. ﻿﻿"It is always very inspiring to watch Tai Sigong, with his complete mastery of the forms and to be polished by him." 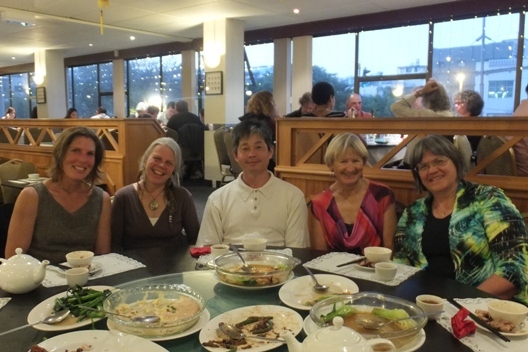 At the end of February, I travelled to Brisbane with the Cynthia, Susanne and Jennifer to attend Master Tse's Australian programme. 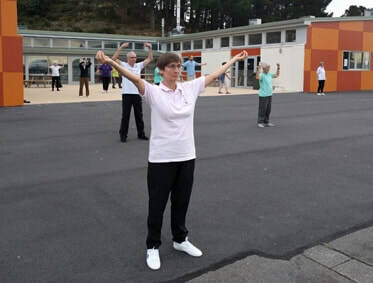 The three days and four evenings were full with further learning of Hard Qigong, Level 1 and the beginning of a new form for me, Enlightenment Gong. 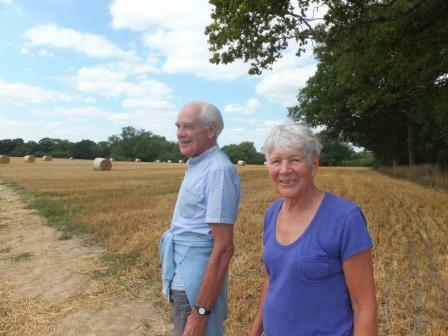 Both very worthwhile and as always, lovely to spend time with our hosts, Jane and Vera. 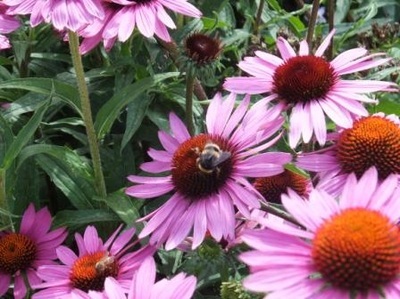 The year is already flying by with our summer seeming to go on and on. The hot still days have often coincided with class time so we have had the pleasure of practising outside by the river or when it was too hot, under the willow trees. It is quite something else to be going through our Chun Yuen or Qigong forms as the clear sky darkens into an amazing sunset with beautiful reflections on the river. 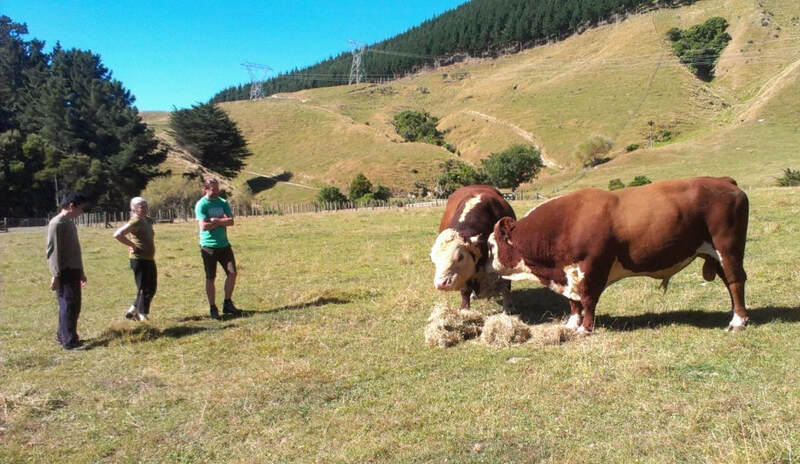 I do however understand how the big dry has come at cost to my fellow farmers and the country as a whole. Here's hoping for good rain soon. 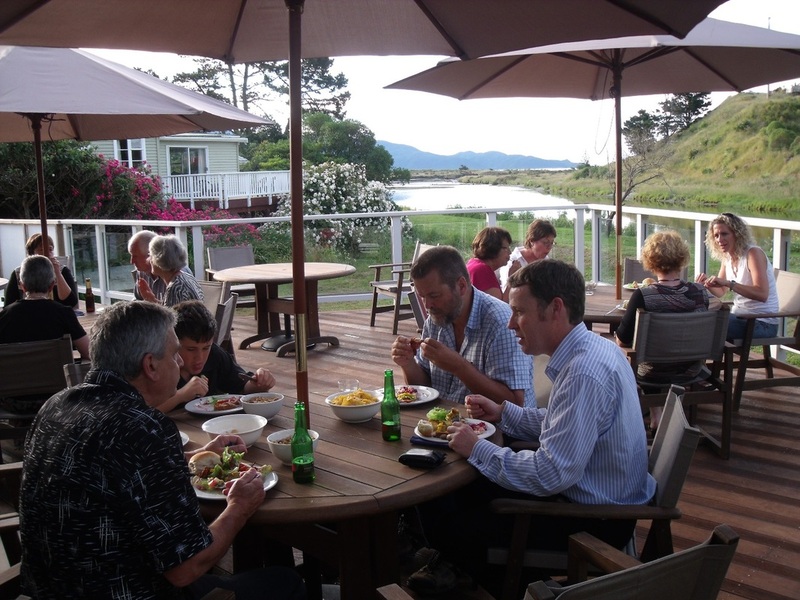 For the second year running, we had our 2012 end of year gathering at the Otaihanga Boating Cub. 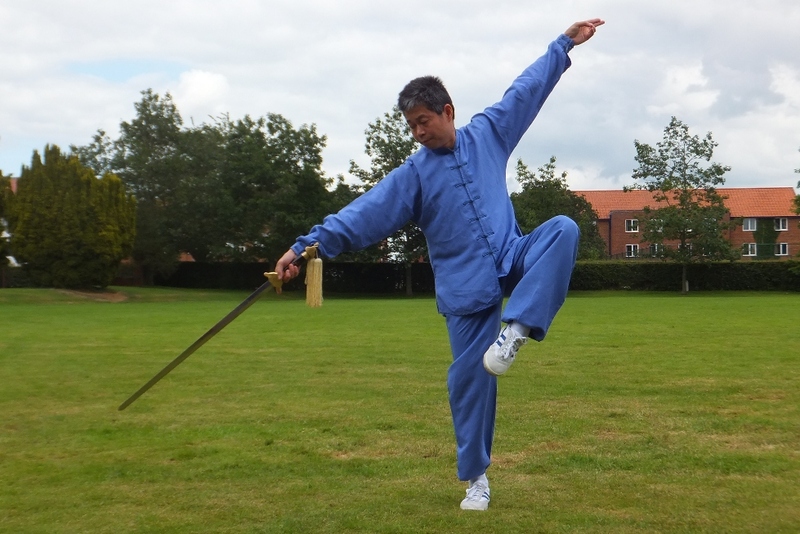 Classes started again in February and all too soon, we were preparing for Master Tse's visit. Sigong's annual visit is always a highlight. The seminars were well attended not only by New Zealanders but also students and instructors from Australia, England and Canada. Once again we were privileged to have the use of Porirua College for all our seminars. We all had a great time and have plenty of work to keep on with. Triple Crossing Spiral Gong was the Qigong form taught over the weekend. 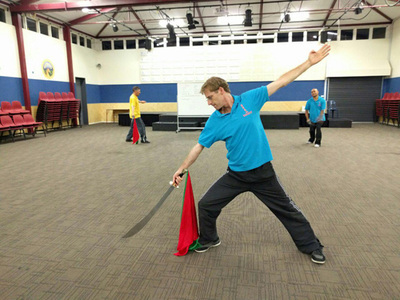 The new Chun Yuen Quan form being taught this year was Five Tiger Breaking the Gate Broadsword. 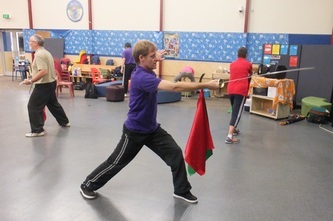 This form is quite the spectacle with its big broad sword and colourful flags. Our Friday evening seminar was dedicated to Qigong Healing, a follow on from the previous year. 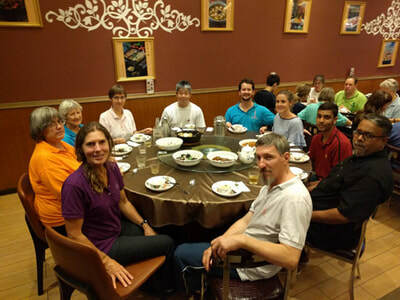 We enjoyed our customary dinner at the Regal Restaurant on the Saturday evening and our final seminar for Sigong's visit was a very comprehensive Polishing on Monday evening where we were able to go over our new forms as well working with the ever popular Wild Goose. We are very grateful Master Tse travels to the southern hemisphere and look forward to his visit again in 2014. 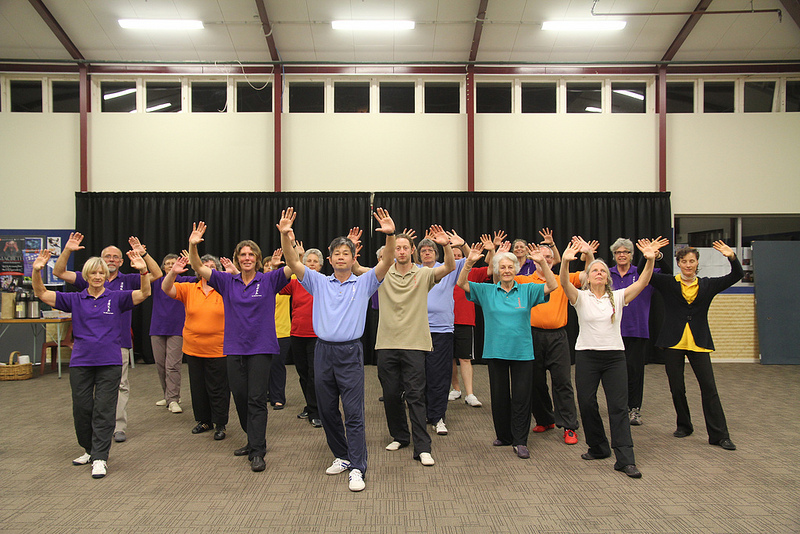 Every August, many of the Tse Qigong Centre Instructors from around the world gather at Harper Adams University College in Newport, Shropshire. Attending from New Zealand this year, was Cynthia from the Wellington classes and me. Over the four days for Wild Goose Qigong and two more days for Chun Yuen Quan a great deal of learning is achieved. 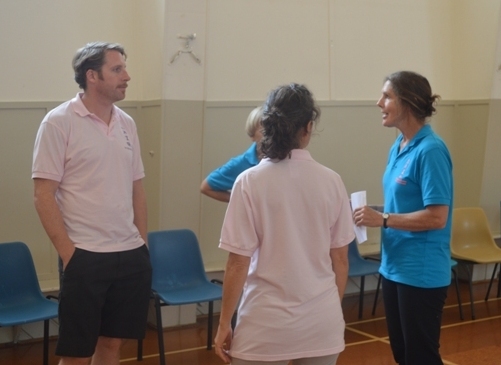 Not only are our forms polished and tested but it is an opportune time for Instructors to meet up and share with each other their experiences, and ways of helping each other to be more effective teachers. Harper Adams is a lovely venue for our training and socialising too. 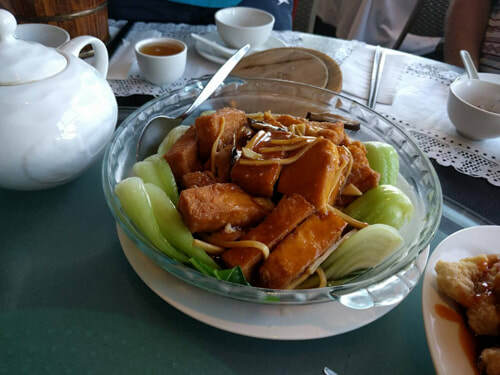 The food is great and not too far away is Tin Tins, a very nice Chinese restaurant where Master Tse and Sifu Jessica often organise special Chinese dishes we normally would not experience. Time is set aside for "official photographs". 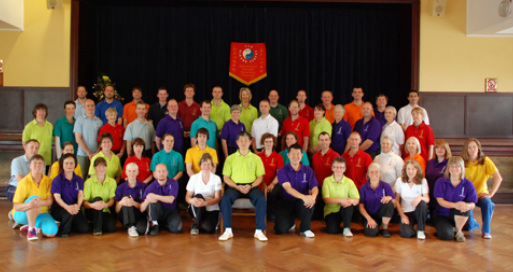 Instructors from different countries group together for their photos with Master Tse and their own Sifu. 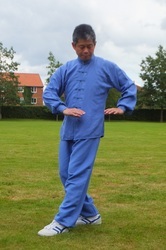 We all enjoy Sigong (Master Tse), holding the poses from the various forms for us to take photos. All too soon the Instructors Course is over and residential courses start. This year I attended the White Monkey Staff. 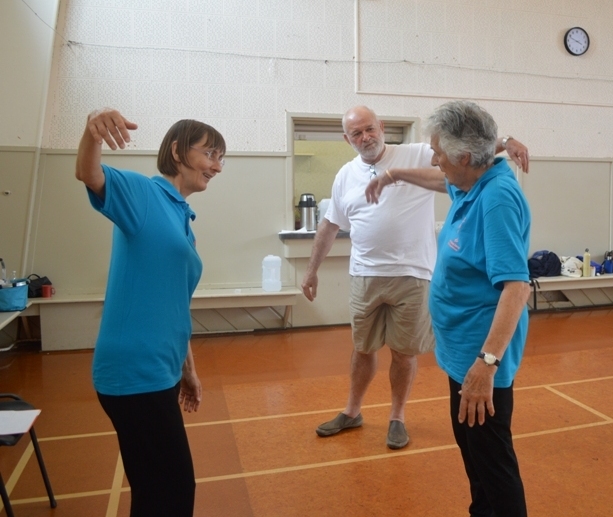 We started with lots of polishing of what we had learned last year and then on to learning some new rather dynamic movements. 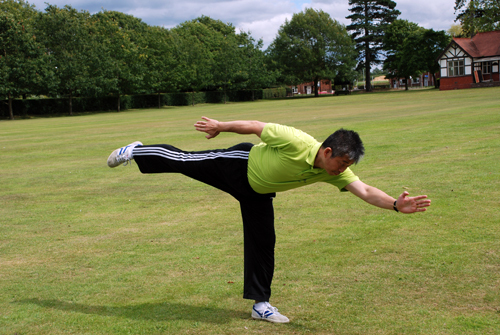 This form is from the Chun Yuen Quan syllabus and though it is quite challenging at times, it is great fun! One of the treats of attending a residential course is that we have more time for breaks and nibbles. The shade of the walnut tree is perfect for this. All too soon our time at Harper Adams is over and for those Instructors who live far from England and/or do not have a Sifu close by, now comes the important part - practising and consolidating the polishings or observations gained from the Instructors Course...........and that is just with our existing forms. 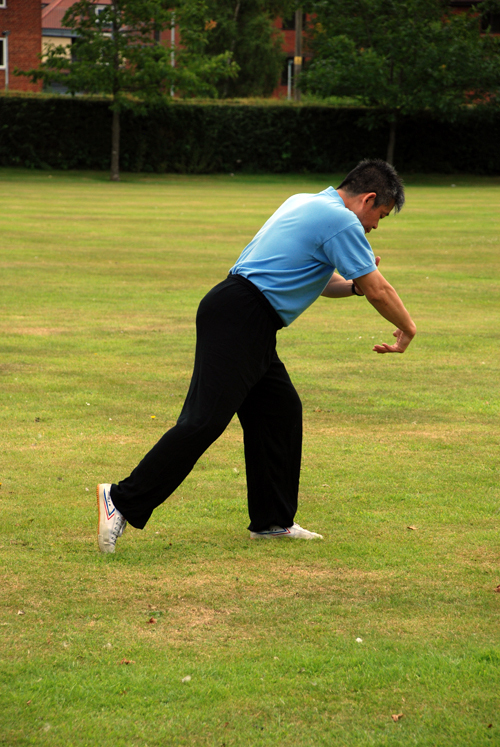 Any new forms or movements learned, require extra special attention and practice so they are not forgotten. At the end of July, my husband and I headed to England and Europe for a month long trip. 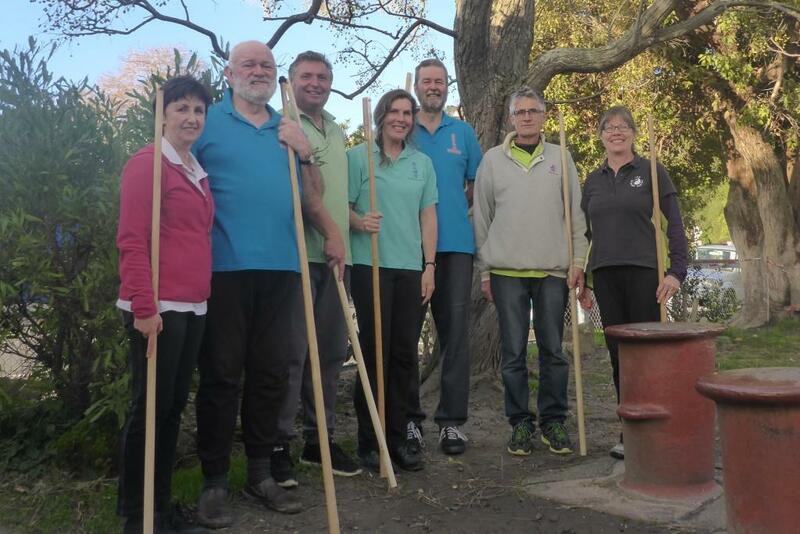 We enjoyed catching up with old friends, visiting some amazing places and then I attended the Tse Qigong Centre residential courses while my husband visited Scandinavia. 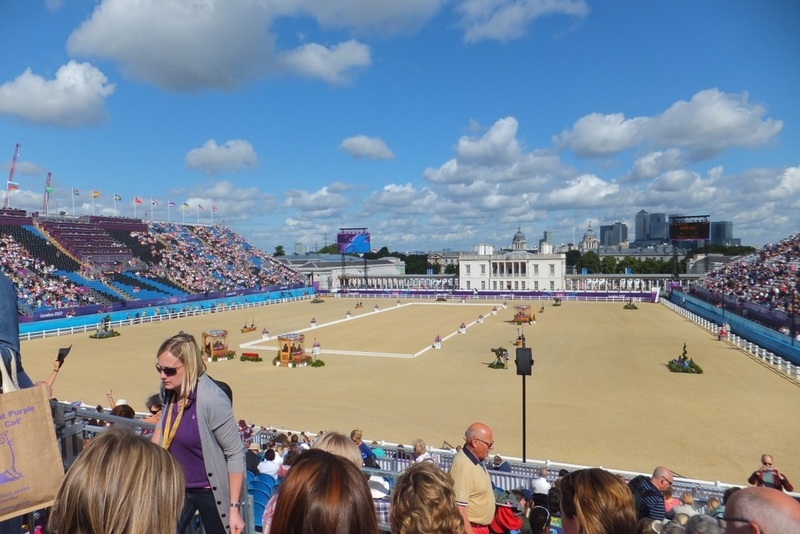 While still in London, I was fortunate enough to spend one day at the Dressage phase of the Eventing Equestrian Olympics. I had acquired a ticket to Day 2 of the Dressage and watched; Caroline Powell, Andrew Nicholson and Mark Todd ride their dressage for the New Zealand team. One of the highlights of the day was that spectators were able to walk the "cross country" course. 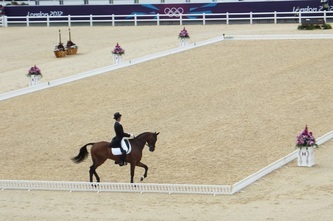 Having been a competitive event rider many years ago, this was a real treat. 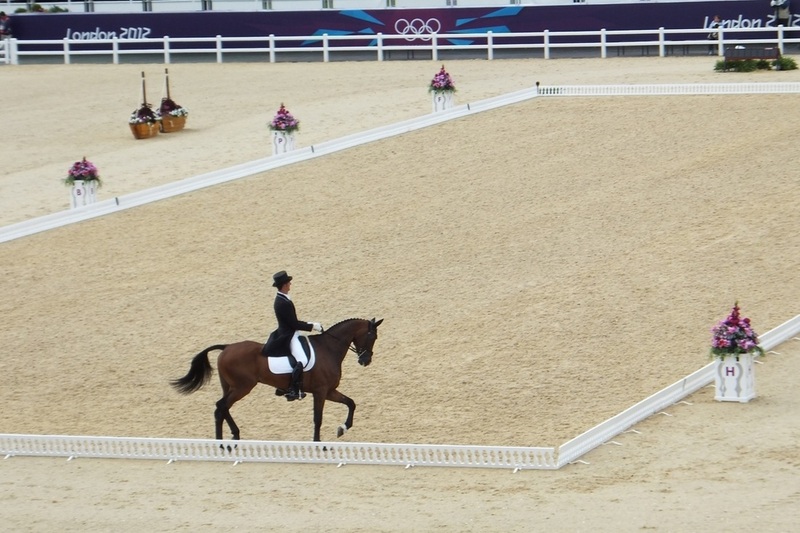 Towards the end of the second day of dressage, the higher ranked riders performed their tests. 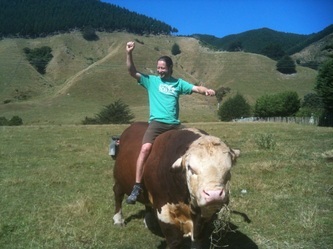 The last to ride was Mark Todd (pictured) and what a professional!!! Something I noticed with the more experienced riders was how accurately they rode their tests - making it very difficult for judges to deduct marks. It made me think that for horses and riders to perform in such an environment under such pressure that their foundation work and training must be very solid and of a very high standard. 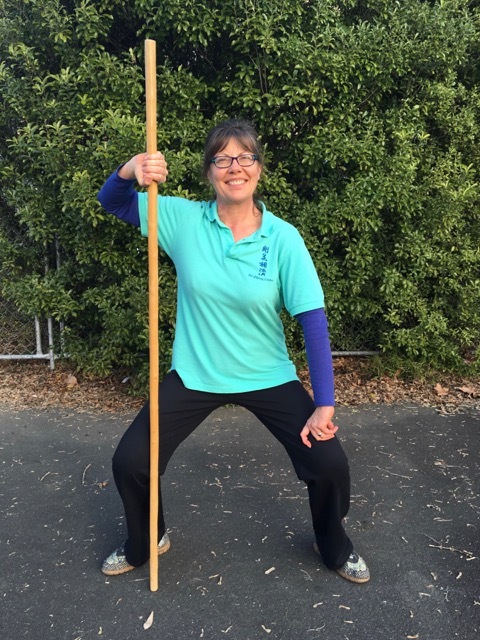 This got me thinking about our own Qigong and Chun Yuen work and how important it is that we keep working with the correct principles to ensure our foundation work is solid. 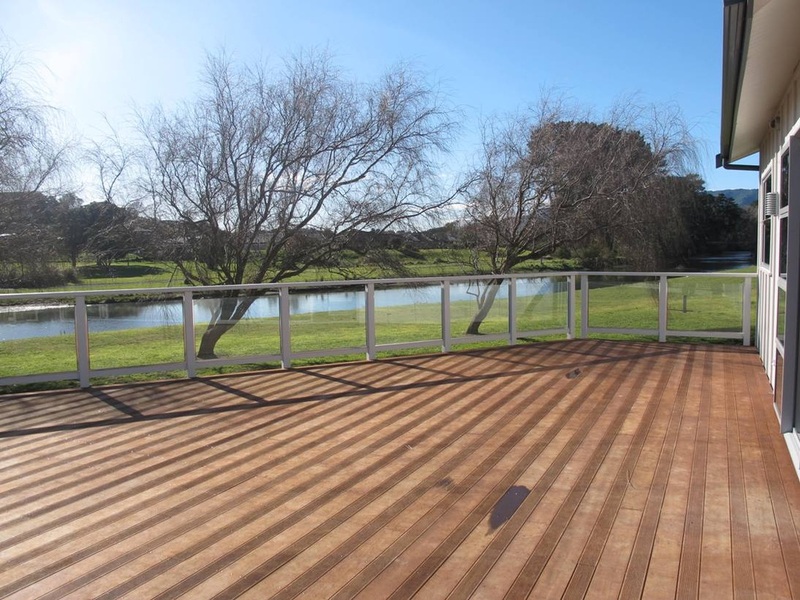 From there we can build but the foundation forms are very important to keep polished. 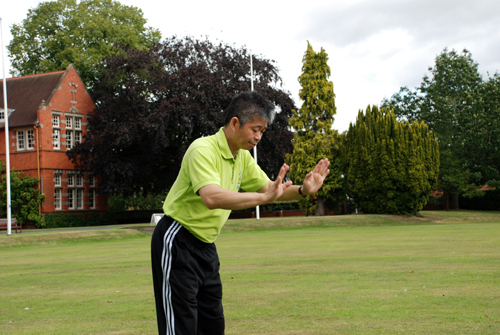 With that in mind, we are very excited that Master Tse has now produced the new Balancing Gong book. 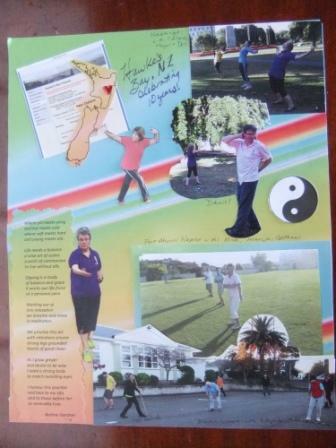 Included in this book is the Tse Qigong Centre Level 1 Warm Up and very nice for New Zealand, Cynthia Shaw, Instructor from the Wellington classes has written the foreword. 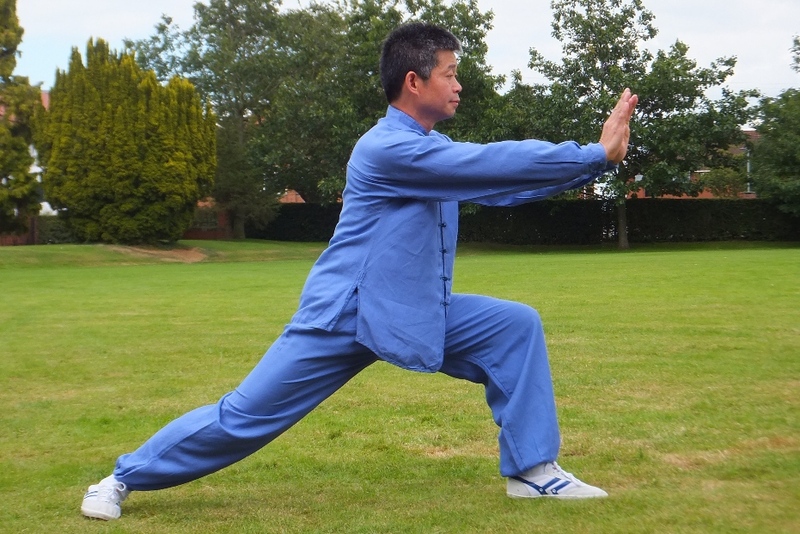 The Balancing Gong book covers Basic Principles of Qigong, Origins of Qigong, Chinese Medicine & Qigong, The Five Elements, Qi, Ways to Cultivate Qi. 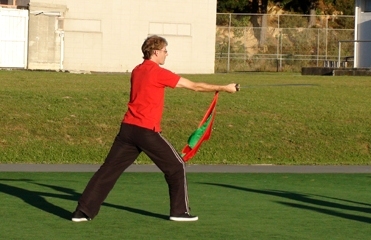 Pictures and descriptions of both the Warm Up and Balancing Gong movements. Then there is some information about Meditation, a Question and Answers section and also some Chinese Stories. 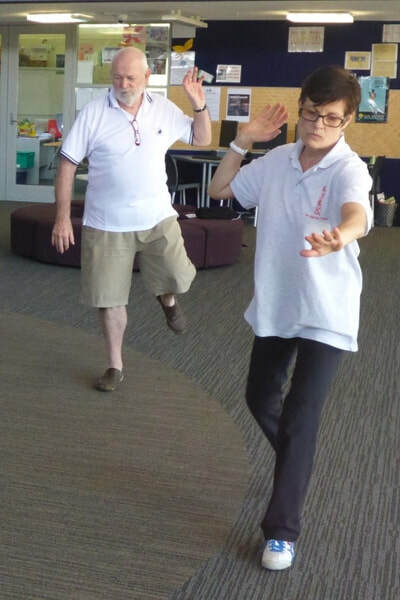 This book is an amazing resource for students new to the Qigong skill and also for those who have been practising for sometime and would like to keep their foundation work poslished as well as deepening their knowledge. 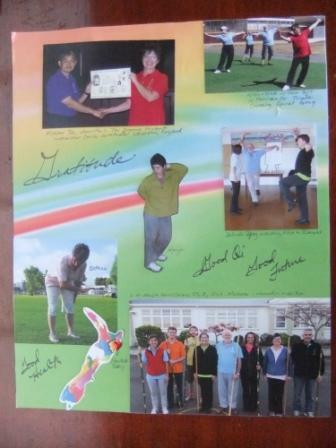 The book can be purchased through the Tse Qigong Centre website. Her Excellency Lady Janine Mateparae very kindly invited her Monday morning Qigong class to hold a session at Government House. We were warmly welcomed and thoroughly enjoyed practising our forms in the Ball Room. 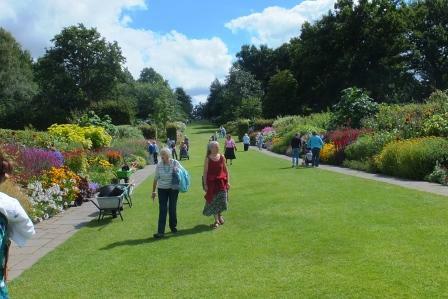 This was followed by a delicious morning tea in the Conservatory and then a tour of this beautiful and historic building. 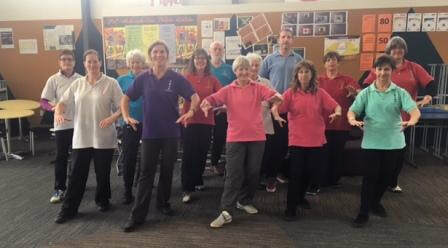 Unfortunately, some of my students were unable to attend class that day but for the rest of us, it was a real treat and I have to say, being able to go through Wild Goose Qigong 1st 64 in such a warm and welcoming environment was very special. A big thank you to Lady Janine for her invitation. 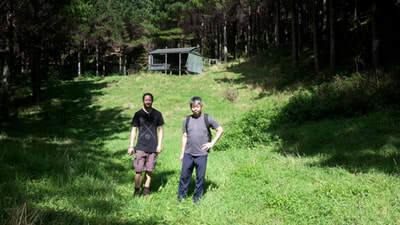 My journey to Napier was made even more enjoyable when one of my senior students from Kapiti, travelled with me and attended the programme as well. 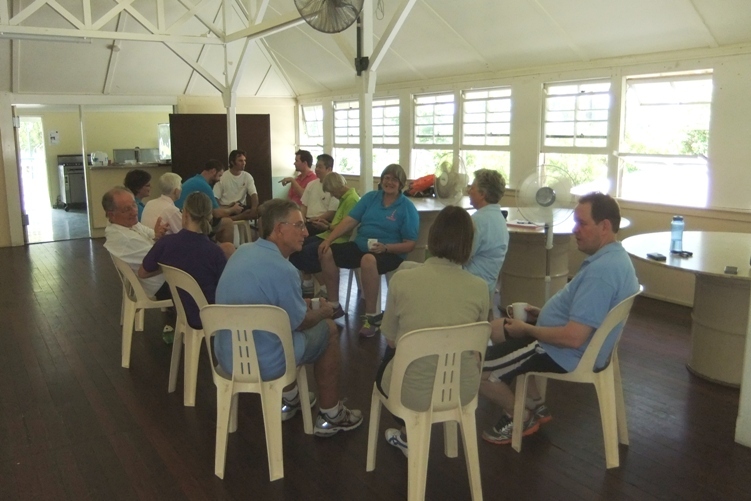 The venue for the Xing Shou seminar was the Pacific Surf Life Saving Club rooms and what an amazing outlook. 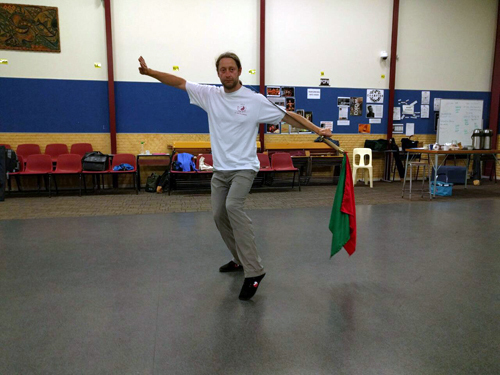 Saturday afternoon saw me teaching new movements to those just learning Xing Shou and polishing for those who have learned the form. Liz and I were kindly hosted by Jennifer and we were able to experience Jennifer's nicely heated Watsu pool - very, very relaxing and rejuvenating under a beautiful star lit evening. Sunday morning we were back at the club rooms for a polishing session of Balancing Gong and Healthy Living Gong. 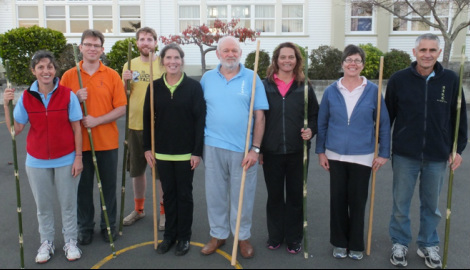 The weekend was most enjoyable and it was great for me to see how well the Hawke's Bay students are developing under the dedicated teaching of their Sifu, Jennifer. World Tai Chi and Qigong day was held on the last Saturday of April at the Petone Workingmen's Club. Ferne who is a student of the Wellington class and also teaches Tai Chi was the organiser and she did a wonderful job. 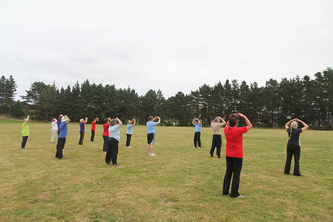 NZ Wild Goose Qigong was invited to participate so Cynthia, Susanne and I went along. Firstly, I spoke a little about the history of the Tse Qigong Centre then along with Ferne, David and Jenny we gave a shortened demonstration of Balancing Gong. Following that, Cynthia spoke about the Wild Goose Qigong form and then the three Instructors gave a condensed demonstration of Wild Goose Qigong 1st 64. It was a most enjoyable morning and very rewarding to see so many people working with these ancient and beautiful skills. 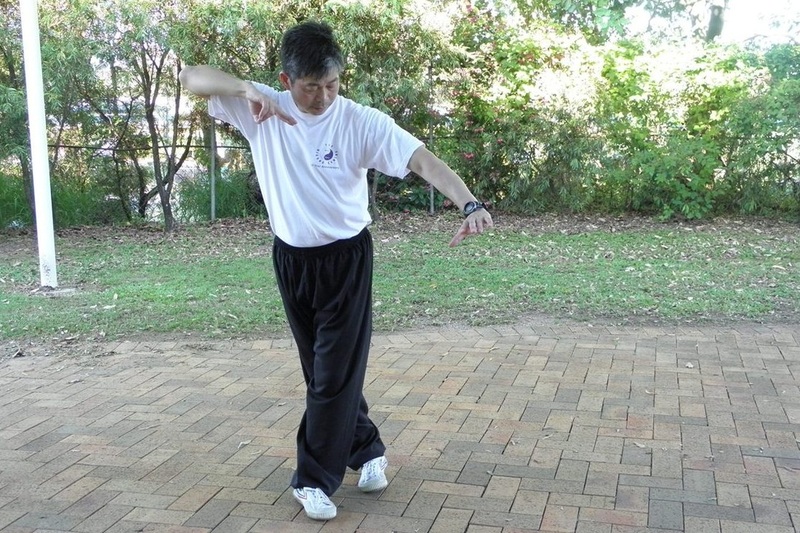 In early March, Master Tse arrived in New Zealand after his visit to Australia. We were also delighted to welcome to New Zealand; Alison and Chris from Australia, Ian from England and Lee from Canada. 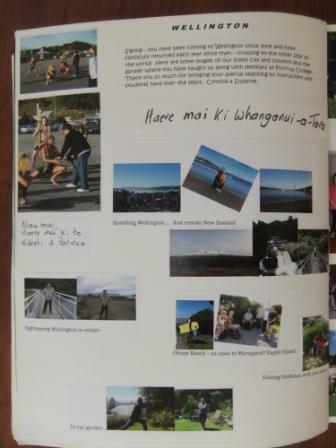 Sonja from Auckland made the journey as did Marija and Nick (Jennifer's students) from the Hawke's Bay. 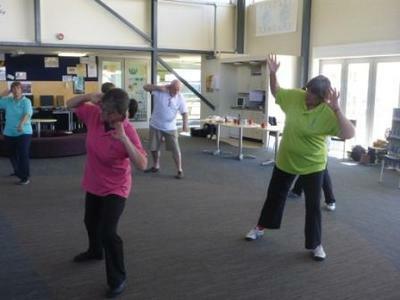 Once again we were kindly offered the facilities of Porirua College. The refurbished hall welcomed us for Wudang Sword. Sunshine and fresh air welcomed us on the playing fields of Porirua College for Triple Crossing Spiral Gong. I think this form is going to be one of my favourites and look forward to learning more next year. 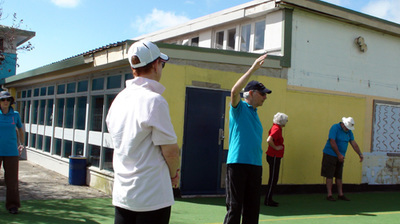 I also feel it is a form that students new to the Centre would manage and thoroughly enjoy. We enjoyed our usual group meal at the Regal Restaurant in Wellington. It was a little bit of tight squeeze to fit around the one table but all the more fun for it. The dishes Master Tse ordered were delicious and this dinner is a real highlight for many students (and their partners). 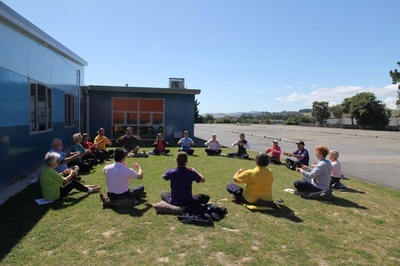 The New Zealand programme finished with Wild Goose Qigong Polishing at Porirua College and small gifts from very appreciative students and instructors. All in all, an extremely busy and fulfillng two weeks. We now have plenty of polishing and new skills to work on until we see our Sifu and Sigong again in August. The first week of March saw me travel to Brisbane with Cynthia and Susanne (Instructors from the Wellington classes) to attend Master Tse's programme. 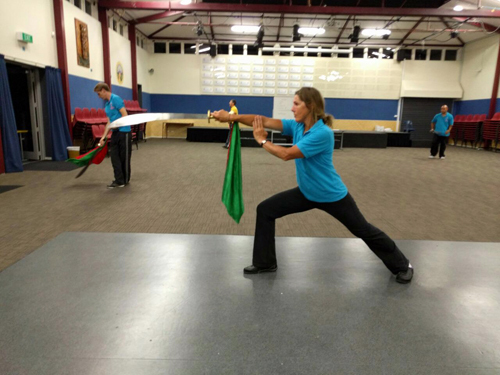 We enjoyed completing Joint Opening and Closing Gong, and Kunlun Twining Hands Bagua. 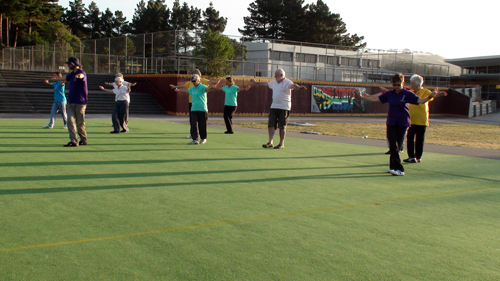 We also had more movements added to our Hard Qigong form. The public demonstration is always a highlight. 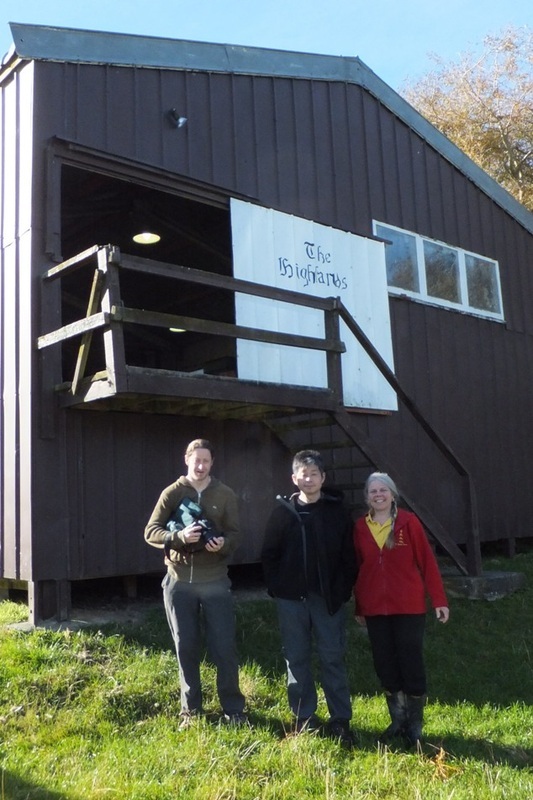 We were delighted to see Ian Armstrong who travelled from England and of course Jane and Vera (Instructors in Australia) are wonderful hosts who look after us so well. Also lovely to meet up with the Australian students again. I must say, it took me a few days to acclimatise to the heat and humidity that Brisbane is well known for. 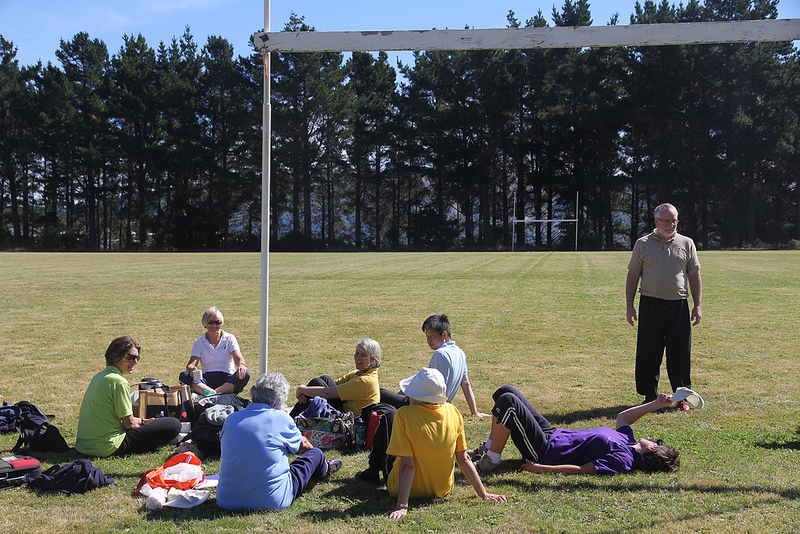 We all had a wonderul time and flew back to Wellington eager to start the New Zealand programme. Classes commenced for the new year and as was always intended, weather permitting, we were able to practise on the grass area by the river. I believe we must have one of the most beautiful and versatile venues in the world for classes! 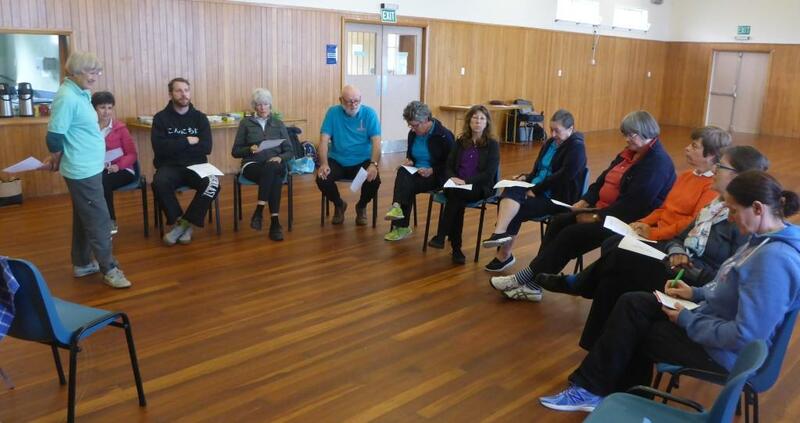 I travelled to Dunedin to hold a two day Healthy Living Gong, Part 1 seminar. 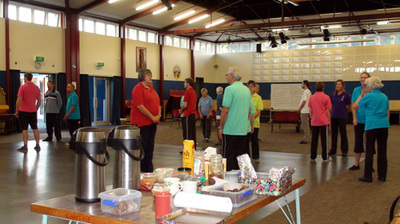 I arrived on Saturday morning and we started the first four hour session (with breaks for tea and nibbles:)) at 1.00pm. 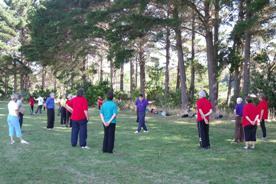 By 5.00pm we had covered over half the Tse Qigong Centre Level 1 Warmup and over half of the HLG1 form. 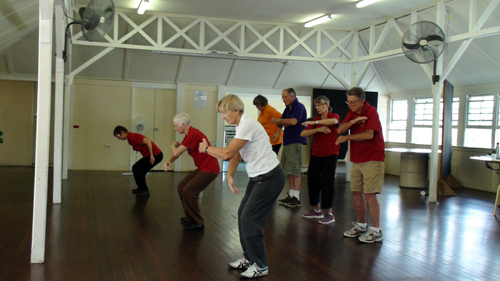 Sunday morning between 9 .00am - 1.00pm the rest of the warm up and Qigong form was taught. The students did very well in such a short time and I thoroughly enjoyed the opportunity to meet up again with people I had met in November and also to teach in a new city. 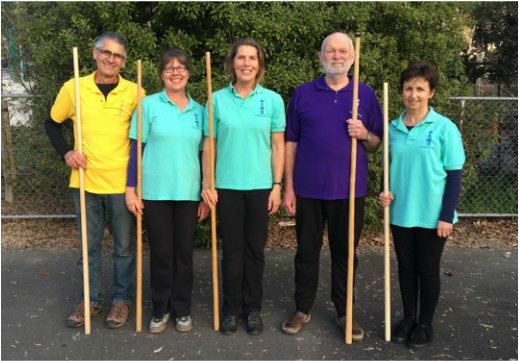 This weekend format is ideal for helping students who do not have a Sifu close by to learn about these ancient health skills. There are also very good backup resources in the way of a book and dvd for HLG1. 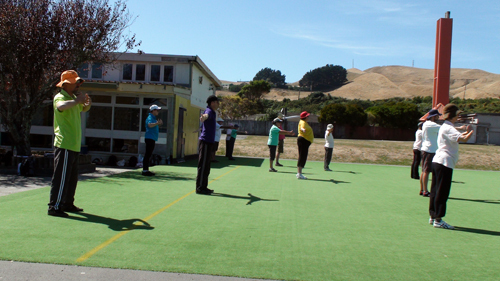 We finished classes for the year and had our end of year social event at the Otaihanga Boating Club. 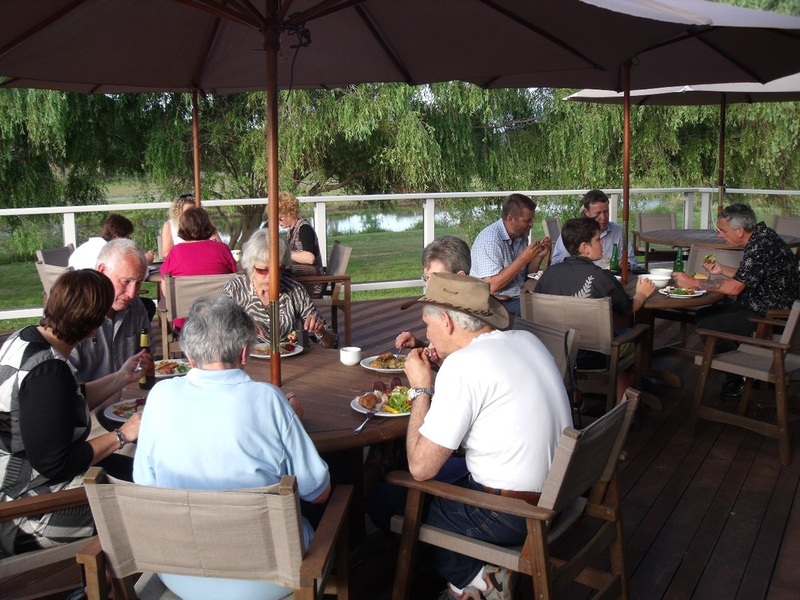 It is such a glorious setting and with the sumptuous food brought be everyone, it was a great way to finish the year. 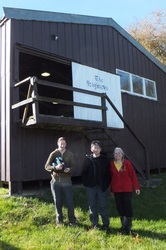 The Commodore of the Otaihanga Boating Club, Roy Opie and his wife Meryl were our guests. Roy has been most helpful in making us welcome with using the facilities. In late November, I visited Dunedin again for a presentation to a group of health professionals and I also held an introductory workshop to Wild Goose Qigong. From those two events there was enough interest by attendees for me to plan a weekend seminar in the future. 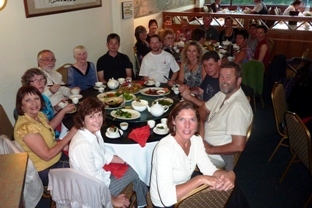 Since the visit by Master Michael Tse in March 2011, there has been plenty happening for me. In May of this year, our family headed to Dunedin for the graduation of our daughter from the University of Otago. While I was there I gave a presentation to a group from the Bioethics Centre (Division of Health Sciences) of the University. This presentation was about my experiences of being unwell and how I found practising and understanding the skills of Wild Goose Qigong to be helpful. 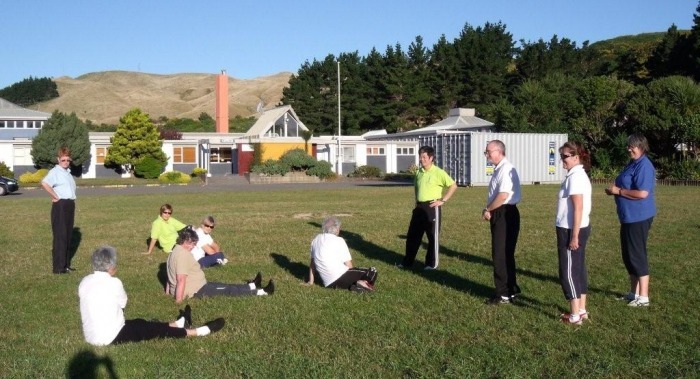 As a result of the presentation, I have been invited back to Dunedin for a presentation / mini workshop with some health professionals in late November. While in Dunedin for that work, I will be holding an "Introductory Workshop to Wild Goose Qigong" on the afternoon of Saturday, 26 November. Details for this can be found under Events. 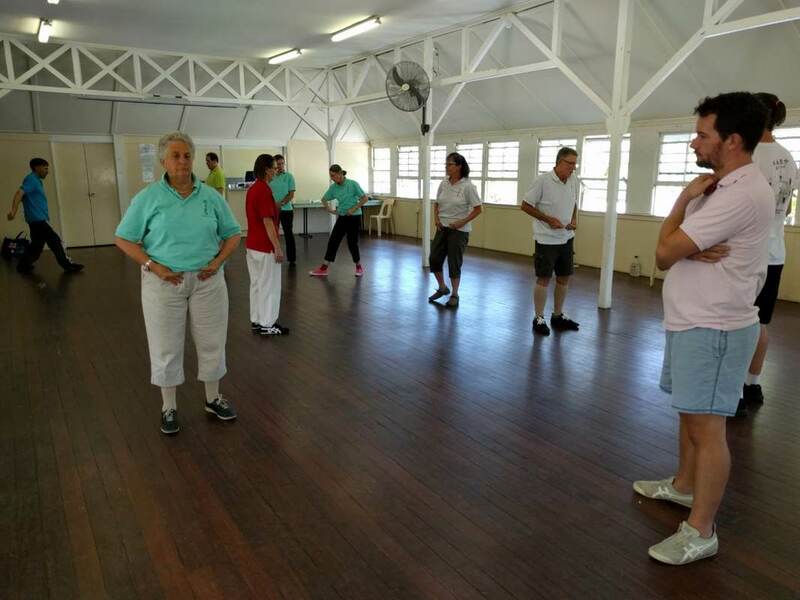 In July we moved to a new location for our weekly classes. 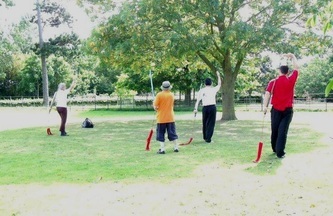 The main reason for the move was so we could practise outside when weather permitted. The Otaihanga Boating Club is a beautiful venue and we very much appreciate the Otaihanga Boating Club and the Kapiti Coast District Council making this facility available for community use. August very quickly arrived and I was off to England for the annual Wild Goose Qigong and Chun Yuen Quan Instructors' Course. 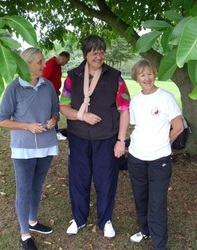 A few of the "Internationals" met up in London and were hosted by our wonderful friends Marie and Peter of Wimbledon. 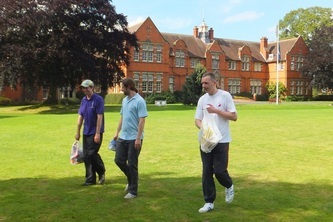 We then made our way to Harper Adams University by train. 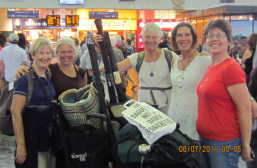 This picture shows Cynthia (NZ), Lee (Canada), Marie (UK), me and Jennifer (NZ) about to catch the train from Euston. It is always a wonderful occasion to catch up with my own Sifu, Jessica Tse and my Sigong, Master Michael Tse. In addtition to the Insturctors' Courses, I atttended two residentials. 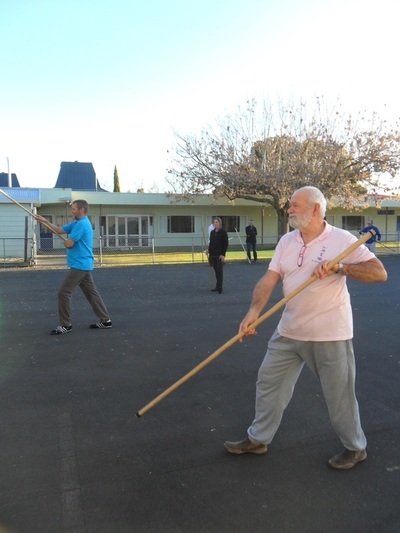 One was learning the form White Monkey Staff from the Chun Yuen Quan syllabus and the other, Cotton Palm from the Wild Goose Qigong syllabus. Both courses were very enjoyable. That is all from me at the moment. Enjoy the warmer weather. 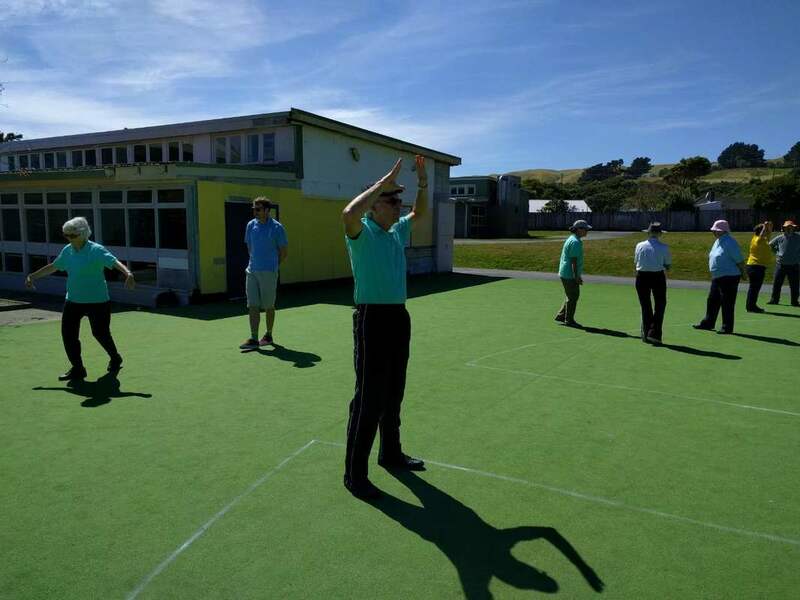 The visit to New Zealand by Master Tse was welcomed by New Zealand students from the Kapiti Coast, Wellington and the Hawke's Bay. This year, we also welcomed Jane, Vera and Michael from Australia and Ian from England all of whom attended the seminars and events. 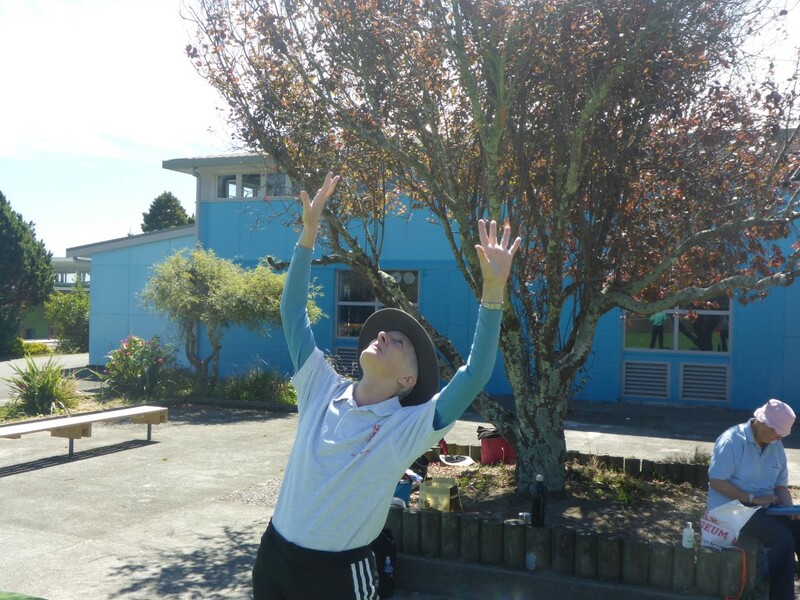 The wonderful Porirua College was again our venue for the programme and with the weather being warm and sunny, we were able to make use of the fields with shade from big trees if needed. The forms being taught were the same as last year so for many of us, we were able to polish what we had previously learnt before adding on new work. For others students, it was starting to learn the form from the beginning. 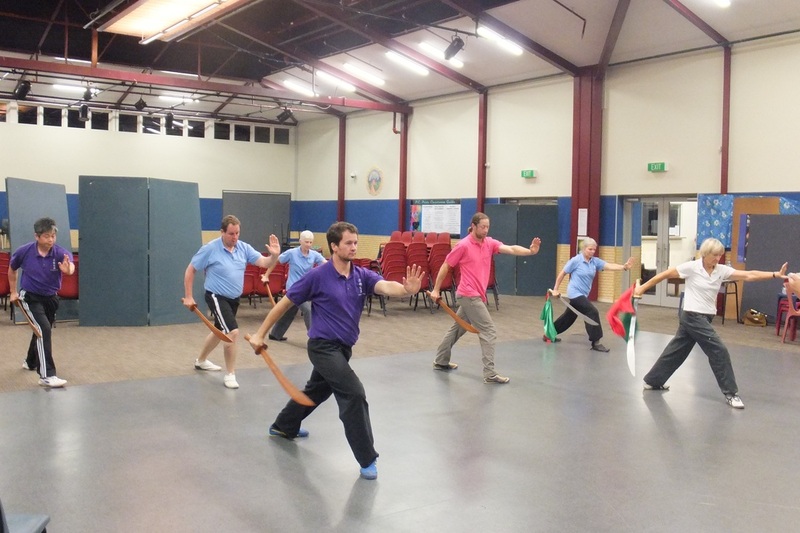 Wudang Sword from the Chun Yuen Quan syllabus was taught during the evenings. 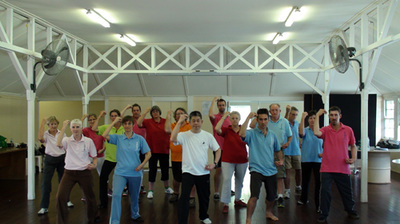 Jade Pillar Gong from the Wild Goose Qigong syllabus was taught over the weekend. A very important and enjoyable part of Master Tse's programme are the lectures. These are given at the beginning of the sessions and from them we get a deeper understanding about the work we do. Sigong's stories are always enlightening and looked forward to. 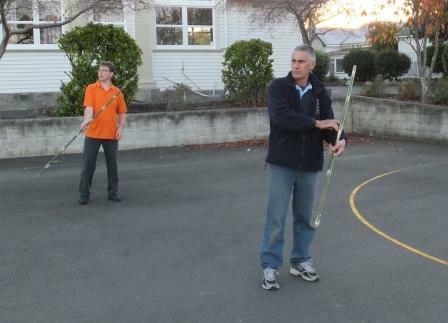 The Public demonstration was held in Wellington this year and the Wellington students gave a very nice demonstration of Balancing Gong. Master Tse thrilled us with forms from the other disciplines that we had not seen before. 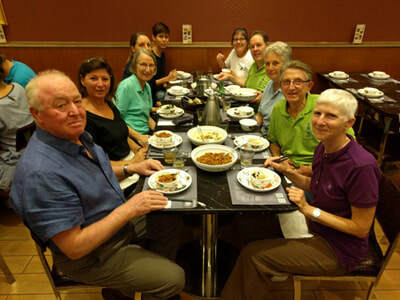 We had our usual Saturday night dinner at the Regal Restaurant - and our treat is that Sigong orders the food so we often eat quite differently than if we had ordered it ourselves. Always good! 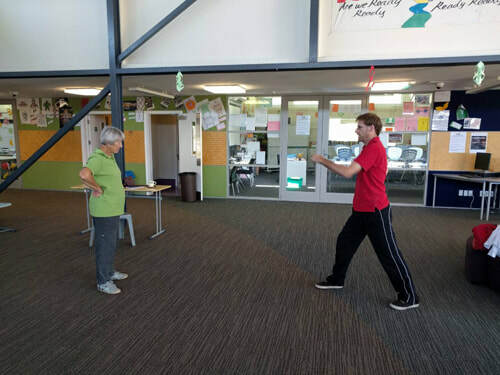 Master Tse managed to fit into his programme a visit to the local high school, Paraparaumu College where the Year 13 Health Students were able to hear Sigong talk about health as well as try out some movements. 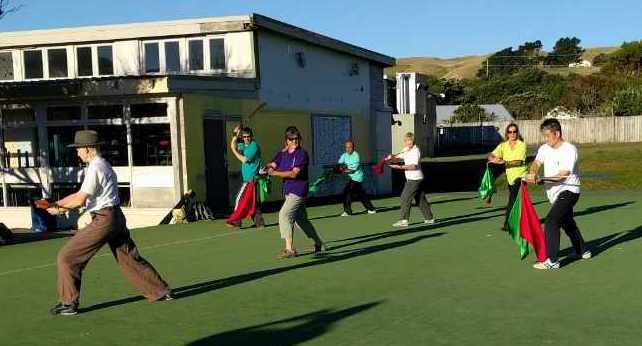 The final event on the programme was the Open Polishing at Porirua Collge and on this occasion we allowed time to watch some of the DVD from the 20th Anniversary Demonstration that was held in London last November. It was fantastic to see our Tse Qigong Centre brothers and sisters in action. A special thank you to Ian for organising all the electronics. 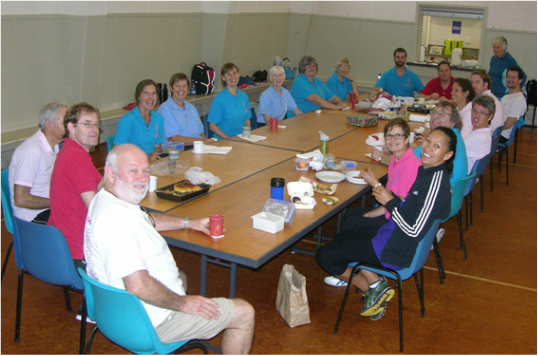 A relaxing final day with a walk along Otaki River and a yummy lunch at Brown Sugar then Master Tse was off again for another year. 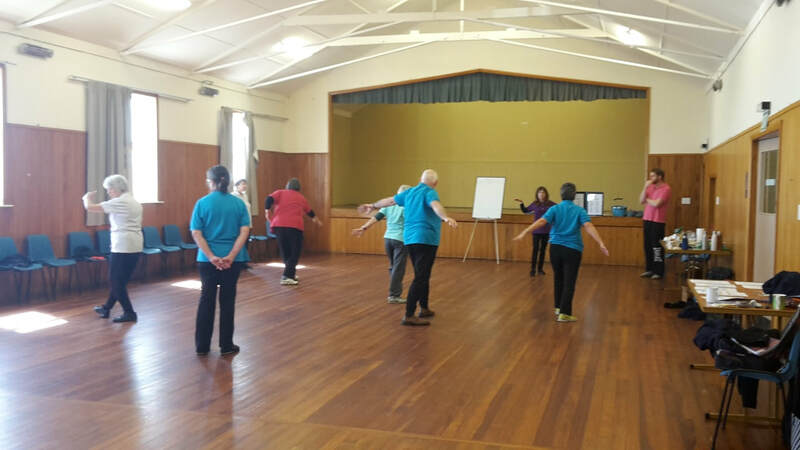 Thank you very much Sigong, for travelling to New Zealand and sharing with us some of the many skills that are part of the Tse Qigong Centre. In light of the Christchurch earthquake and its devastating impact on our small country, contributions were collected on behalf of NZ Wild Goose Qigong, members of the Tse Qigong Centre, and forwarded to the Red Cross NZ Earthquake Appeal. A very big thank you to all who contributed. 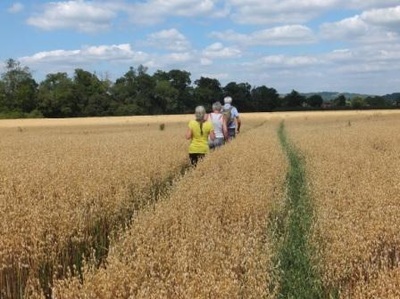 In August this year, I travelled to England and attended three residential courses. They were the Instructors' Courses for Wild Goose Qigong and Chun Yuen Quan, the Green Dragon Sword and also at the very last minute, Buddhist Opening Fragrance Gong. 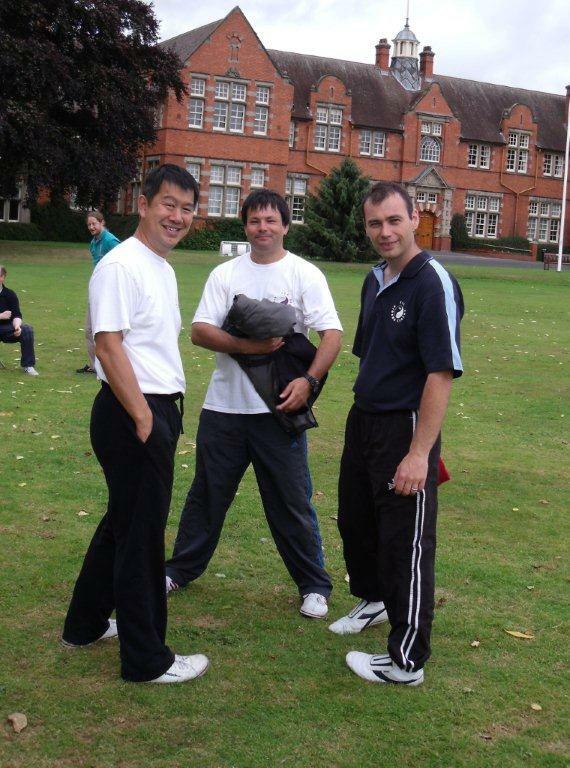 I also spent a little bit of time in London where I attended my Sifu's and my Sigong's classes. I was away for 25 days and it was nice to have a break from the very wet and cool winter New Zealand was experiencing. 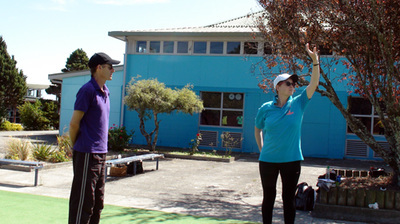 It is on these courses that Instructors are polished and tested on their forms and also offered tuition and guidance to help them become more effective Instructors. This was my seventh Instructors and as usual, there was plenty to learn. The six days ran very smoothly and it was amazing to see how much we actually fitted in. 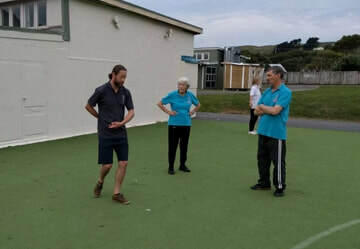 This year, both seniors and juniors completed written exams and in the evenings after practice, there was also the opportunity to socialise or watch movies! 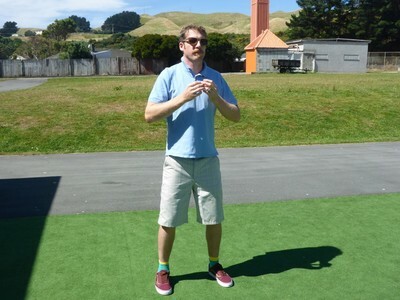 One of our very first challenges is to learn the names of all the other Instructors. Now this is not too difficult for those of us who have been attending for some years, but for newcomers, I am always amazed at how well they do. Not a name tag in sight but during the dinner at Tin Tins (our first meal together), everybody is working hard to learn each others name. It is surprising what you can do when you put your mind to it! 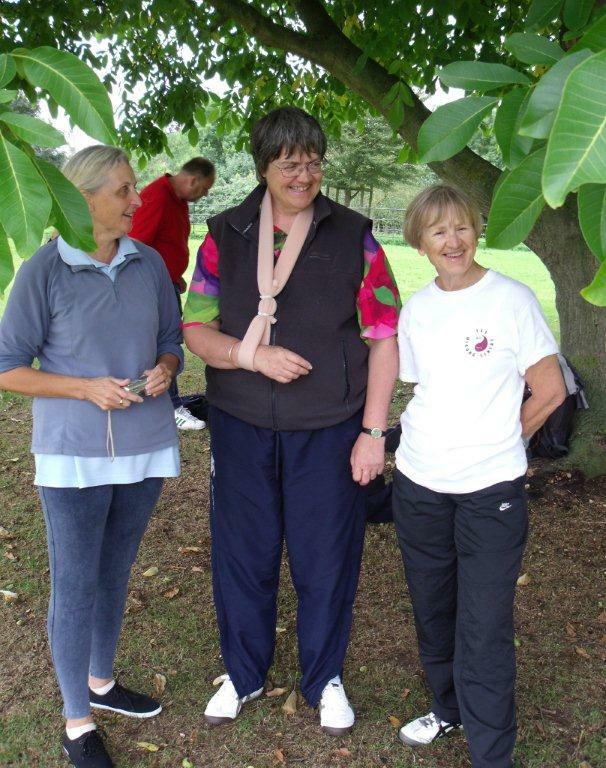 We have lectures and social times in the Queen Mother hall and work outside in the beautiful grounds for most of our other work. "Official" photographs are part of the programme and it is always a lot of fun having our photograph taken by 'class' or 'country' with our teachers. 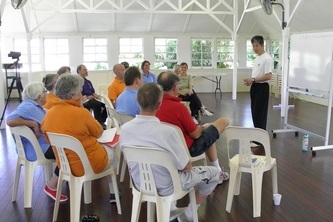 More photos from the Instructors' Courses can be viewed on theTse Qigong Centre website. This form is from the Chun Yuen Quan syllabus and I first attended a residential in August 2006. I was able to polish and add to my learning with a second residential in 2007 and it was great to again polish and learn more this year. 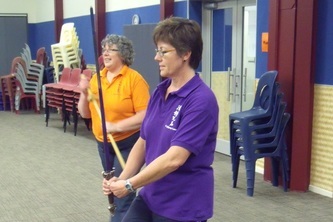 The sword has a long tassle and it takes a lot of practise to encourage it to go in the right direction. Added to that, the form itself is quite long but so dynamic and I have always found it very challenging. This year however, it felt a lot more comfortable and I am even beginning to consider the tassel my "friend"! 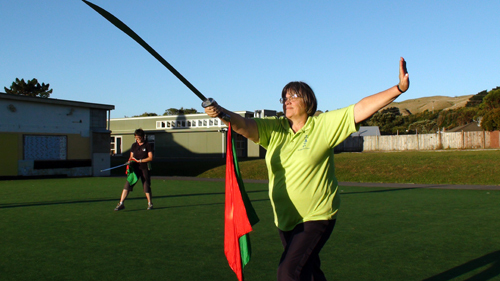 More photographss of the Green Dragon Sword residential can be viewed on theTse Qigong Centre website. There is only one way to describe being able to learn this form and that is "privileged". After encouragement from my Sifu, I decided to stay for the third residential and I am very pleased I did. It was a fascinating three days of lectures and learning the form. 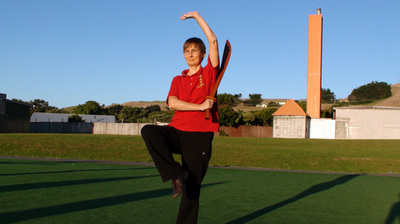 Since returning to New Zaealand I have practised this form everyday and definitely feel the benefits. We were very pleased that Susanne (Instructor from Wellington class) was able to attend this residential. 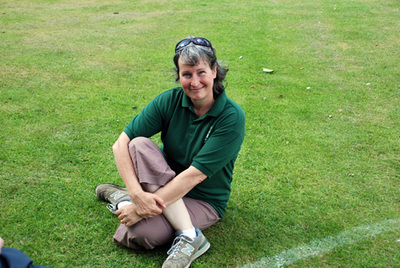 Unfortunately, Susanne broke her arm just before she was due to fly out for Instructors so we were delighted to see her. 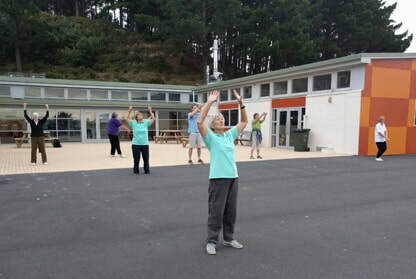 This year, I was very surprised to experience NO jet lag when I returned to New Zealand - it reinforced again for me, how profound and powerful the Wild Goose Qigong and Chun Yuen Quan systems are for helping to manage your health. Again, more photos of this residential can be viewed on the Tse Qigong Centre website. "Thank You" and "My Birthday!!!" 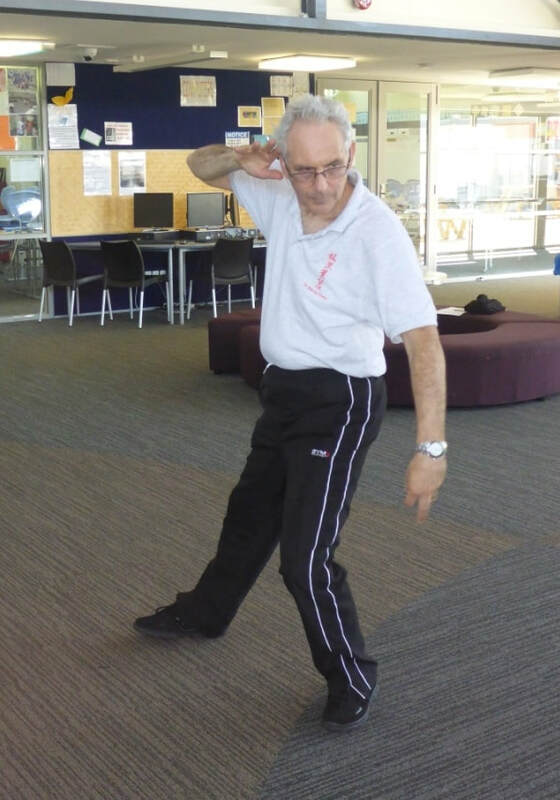 A very big 'thank you' to some of my Senior students, Liz, Kimbra and Derek who so ably looked after my classes while I was away. 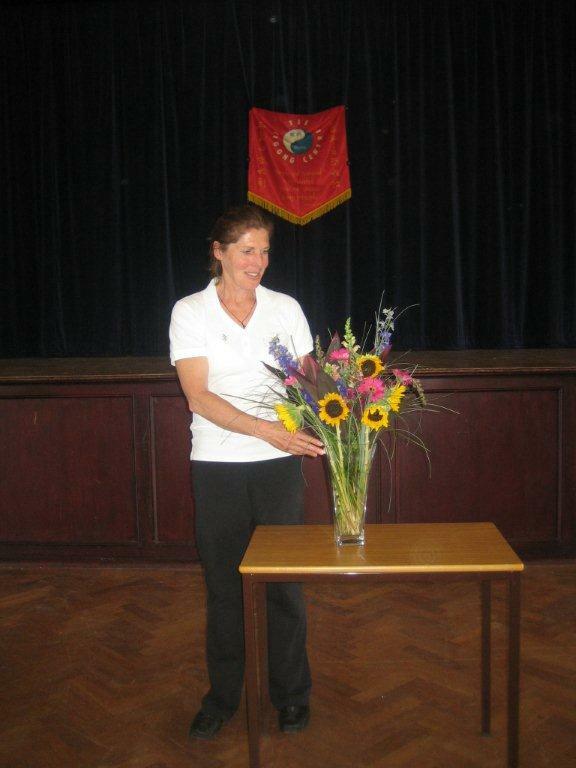 Also a big thank you to my student Jennifer (from Napier) who organised this lovely bunch of flowers to be delivered and to Lee, my Qigong sister from Canada who managed to get all the Instructors on the course to sign a birthday card. It was a great day! A very big acknowledgement and thank you to my Sifu, Jessica Tse and my Sigong, Master Micheal Tse for giving us the opportunity to attend these residentials. I know a tremendous amount of work is required to ensure they run smoothly and this year the courses were simply fantastic. To see more photographs from my trip, please visit the Photo Gallery. Winter has well and truly arrived and with so much rain! 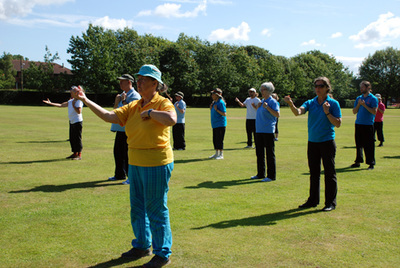 It means practising outside is a bit more difficult, so do remember, if you are practising inside, open a window so you get some fresh air circulating and with it, fresh Qi. When winter arrives, I am always grateful for the Chun Yuen Quan work. The warm ups and the forms are more dynamic and bring up a stronger, warming energy which is most beneficial for our minds and bodies over these months. 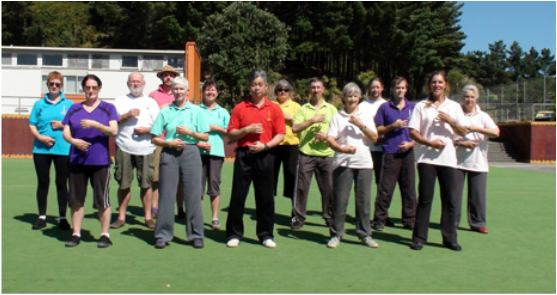 If you are working with the Qigong only, you are welcome to come along to the Chun Yuen Quan class anytime and see if it is something that interests you. 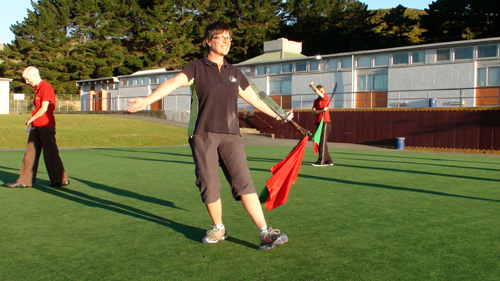 Some of the students have worked through the earlier forms of the syllabus and are now starting with the Damo Staff. 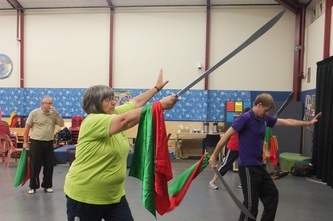 As well as providing another challenge it certainly is a lot of fun! 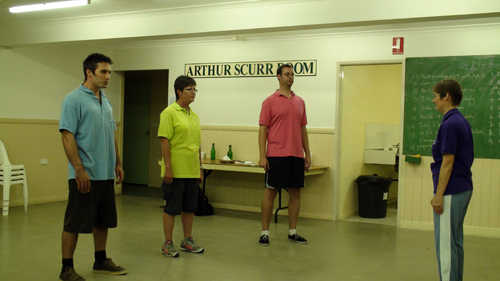 A couple of weekends ago, the four New Zealand Instructors got together for practice and discussion. We make the most of these opportunities as it helps us to keep our own work polished and developing. 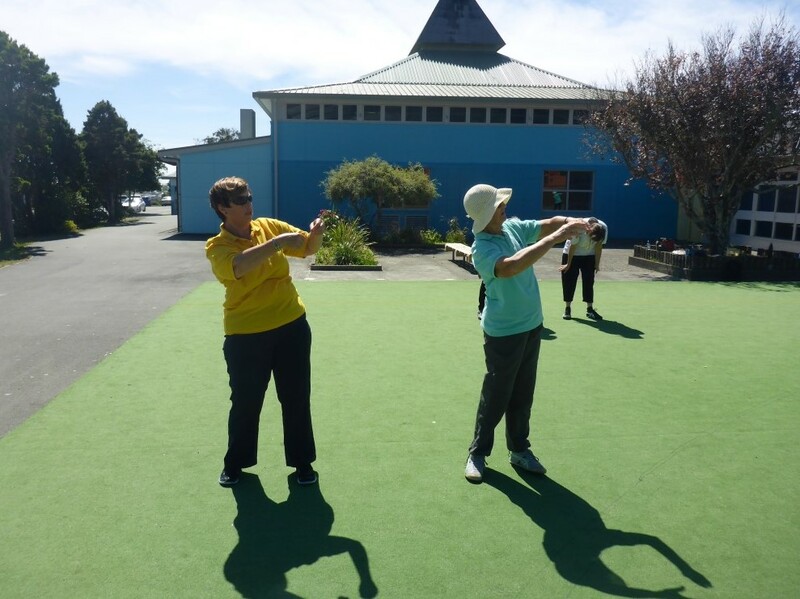 You can see by the photograph that we were blessed with good weather which meant we too, could get outside and practise our Damo Staff. 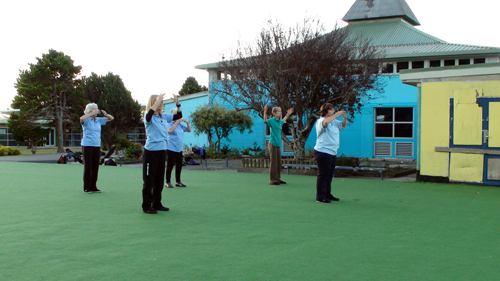 I was recently invited to teach some Dayan Qigong to an enthusiastic group of women in Palmerston North. 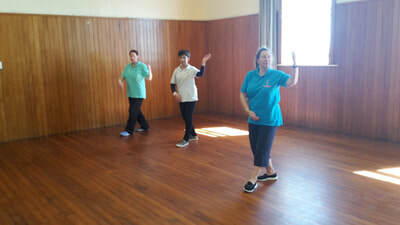 Spanning three Friday afternoons, with two hours set aside for each visit, the group learned the Tse Qigong Centre warm up Level 1 and Healthy Living Gong, Part 1. Not only did we manage to cover the movements but also fitted in talks with tea. 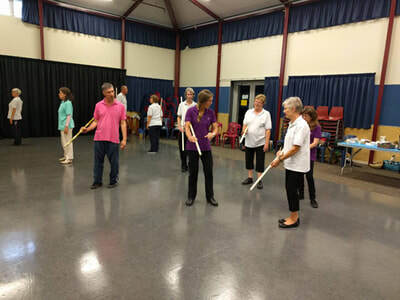 It was a wonderful experience and I look forward to continuing my work with them and helping them to get the most out of their Qigong practice. There are many important values I have learned through my association with the Tse Qigong Centre and of course, my Dayan Qigong and Chun Yuen Quan work, but I believe "patience" and "trust" are two aspects that help me on a daily basis, especially when it comes to regular practice. 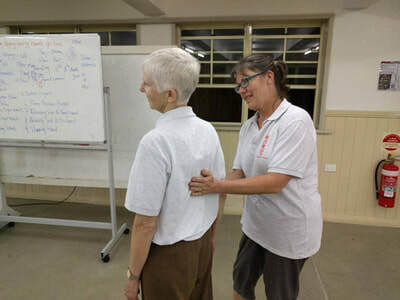 This year, the calligraphy written on the Tse Qigong Centre polo shirt says "Water dripping consistently on stone, will eventually create a hole." Understanding that just a little bit of regular, attentive practice will benefit you and being able to trust the process, will also help you to relax in mind and body. Even if your routine gets interrupted or you have had a break from practising, relax and allow yourself a little bit of time to go through some of the work you know. It always amazes me how once you start the movements, or start your practice, your body and mind have a way of encouraging you to continue. On that note, enjoy your practice and wishing you good health and happiness through these cooler months. As many of you know, Master Tse recently visited New Zealand. 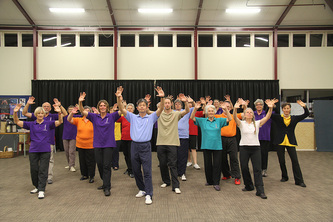 The photo gallery has been updated with photographs from Master Tse's visit. 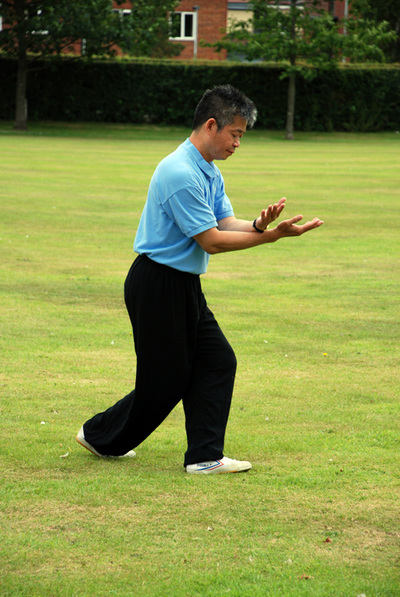 I wrote an article for the Tse Qigong Centre website and this can be viewed by following the link. You may already have learned that Issue 91 of the Qi Magazine is available on line. 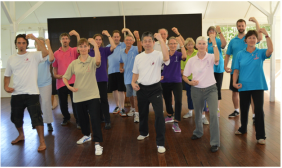 You can access the on line version through the Tse Qigong Centre website. 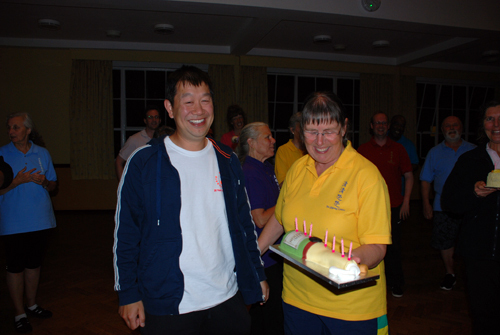 This issue of the Qi Magazine has been produced to celebrate the 20 Year Annivesary of the Tse Qigong Centre. There are some fantastic stories and articles with lots of information. Also great to see Barbara's article about Balancing Gong has been included. 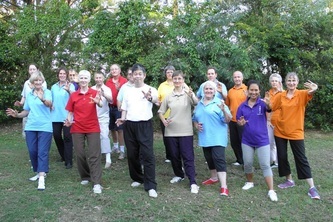 Members of the Tse Qigong Centre will receive a hard copy of the Qi Magazine in due course. Classes have commenced and there is certainly a lot of fresh enthusiastic energy about. 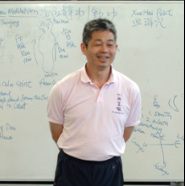 We are all eagerly anticipating the visit by our Sigong/Tai Sigong, Master Michael Tse. His programme is below, we look forward to seeing you there. 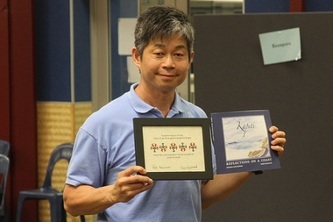 One of the highlights of our year is the annual visit by my Sigong, Master Michael Tse. He will be with us from 9 - 16 March 2010. 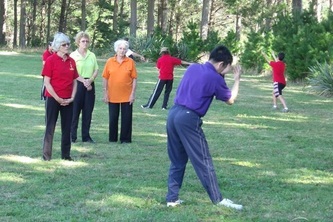 Photos below show students learning Wild Goose (Dayan) Qigong with Master Tse, 2008. This sword form originates from the Daoist Wudang Mountains. 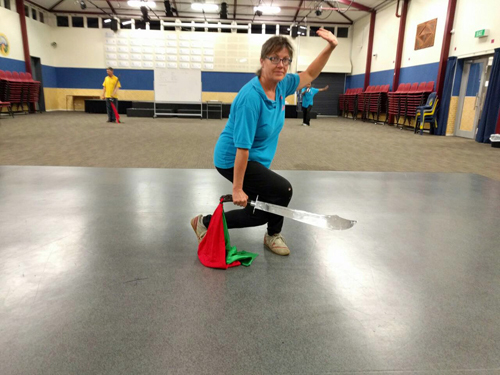 It covers all the different sword techniques and is an internal that will help develop coordination, balance and lightness in the body. 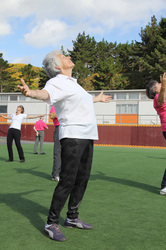 This form is suitable for all levels and develops a lot of internal Qi. 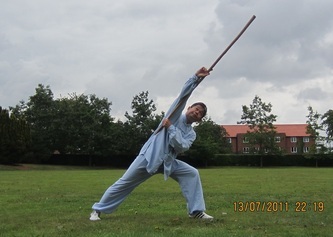 A fantastic opportunity to experience high level skill by Master Tse. You are welcome to bring along your family and friends. 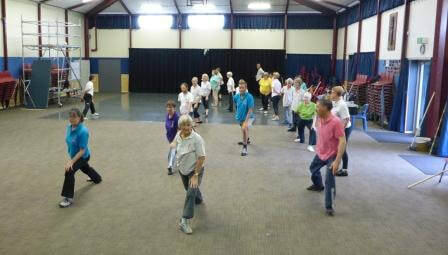 Age is not about how old you are, it is about how young you feel and how healthy and flexible your body and mind are. When we get older, our joints begin to stiffen, especially in our back and hips, this can affect our posture, our energy levels and even our memories. 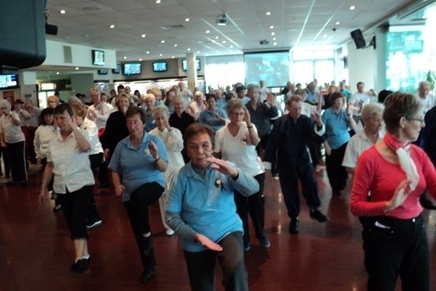 However, if we can keep these areas loose, then our kidneys can work better and keep our Qi, bones and mind strong. For more details, programmes and resgistration forms, please don't hesitate to contact me.